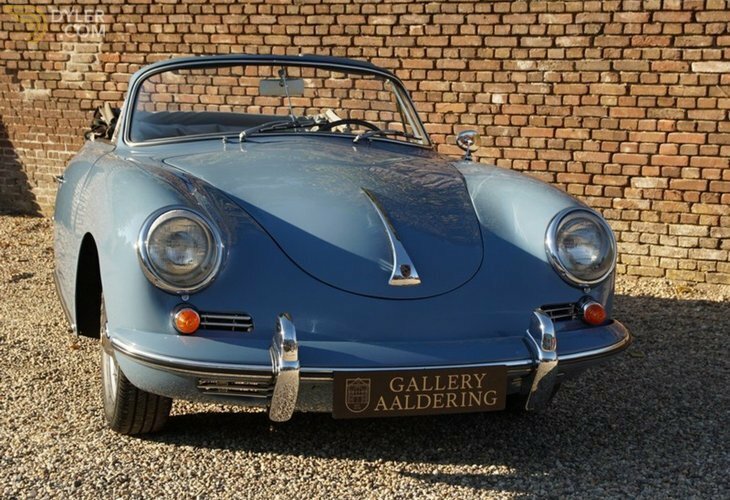 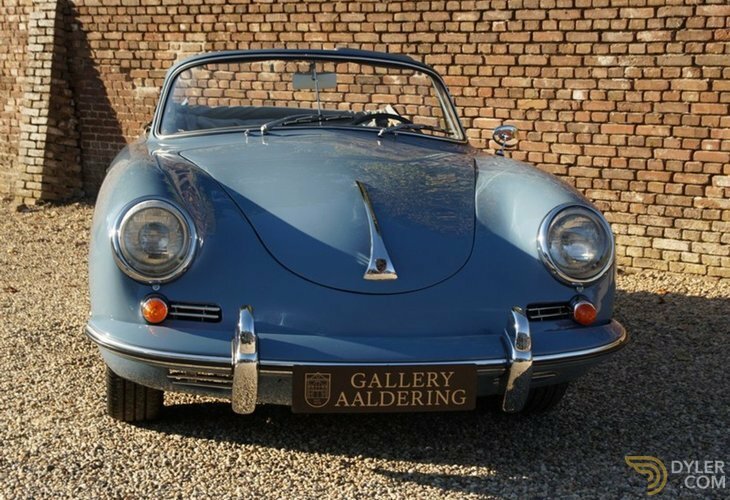 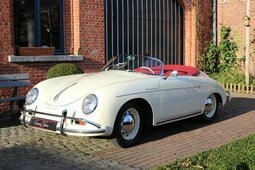 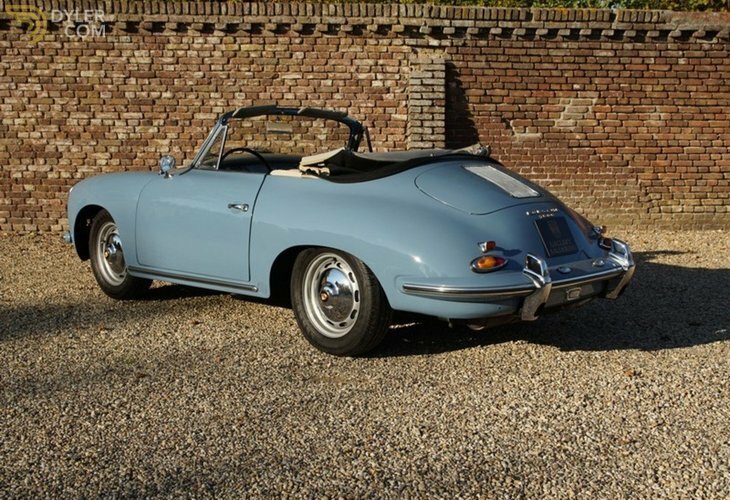 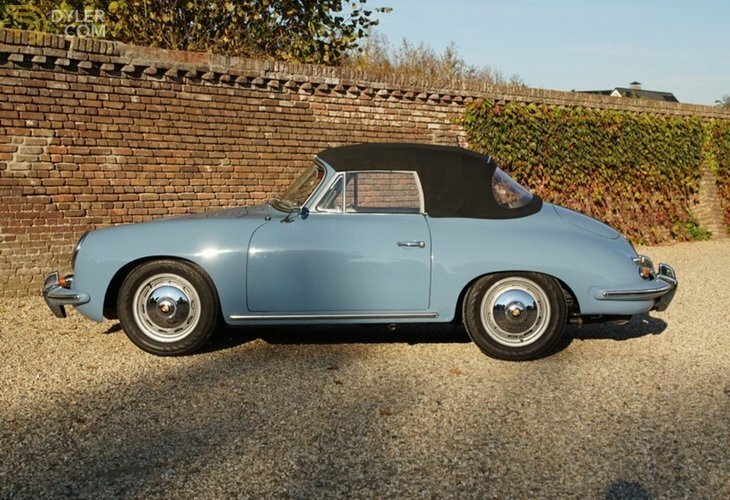 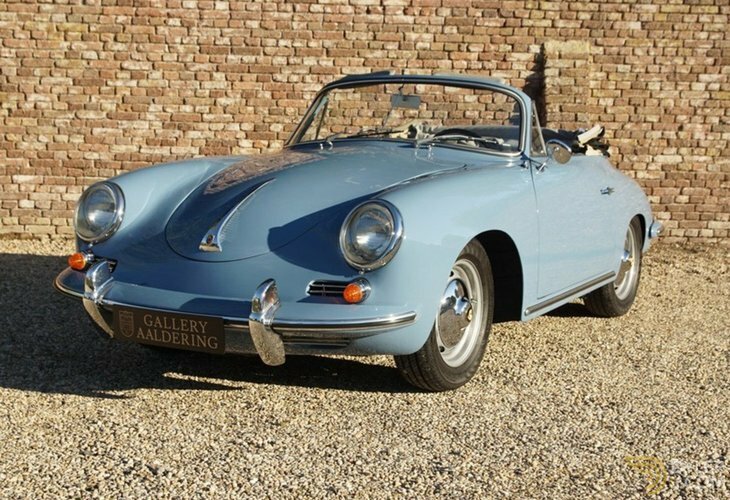 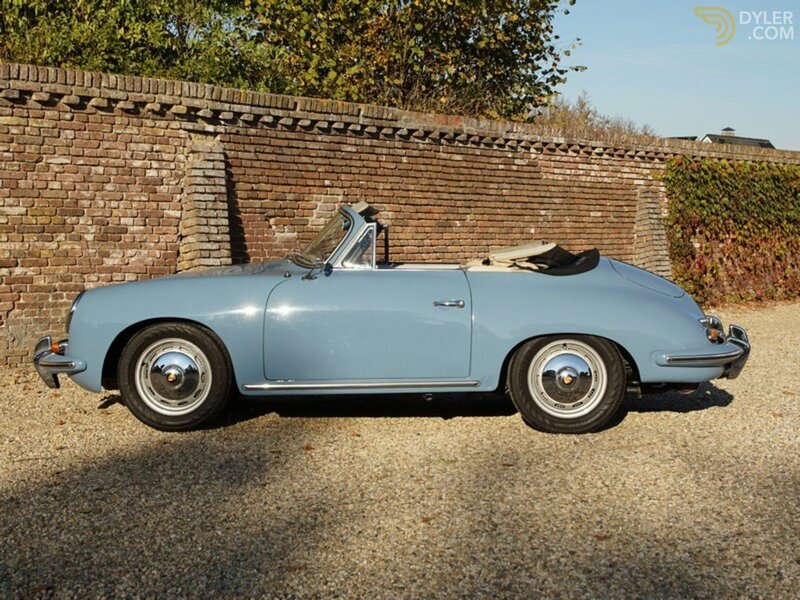 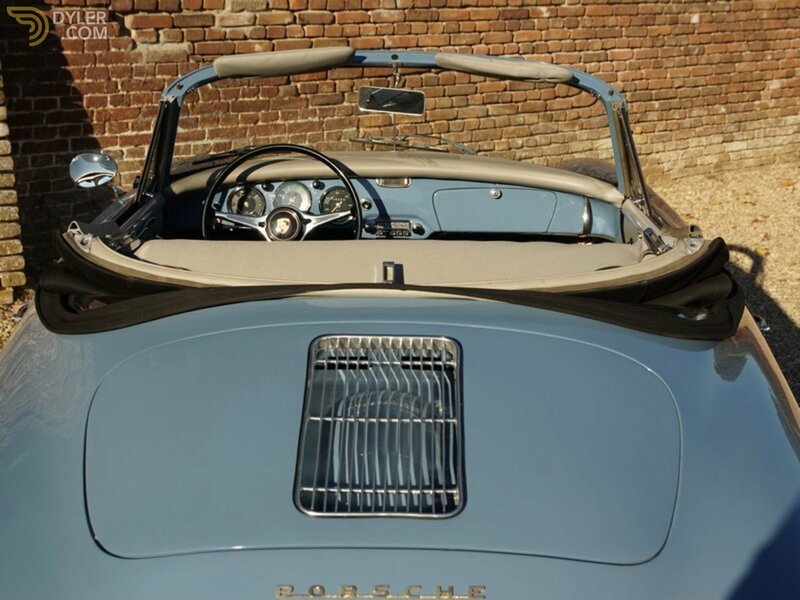 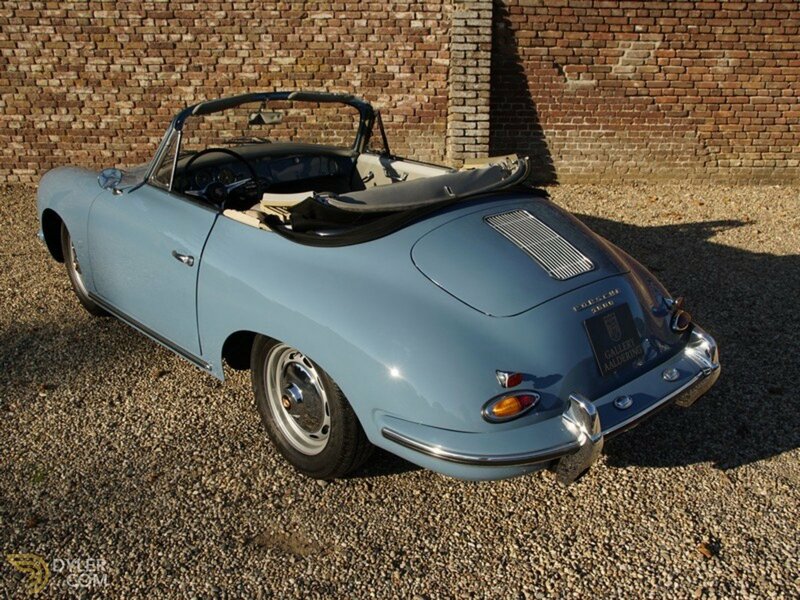 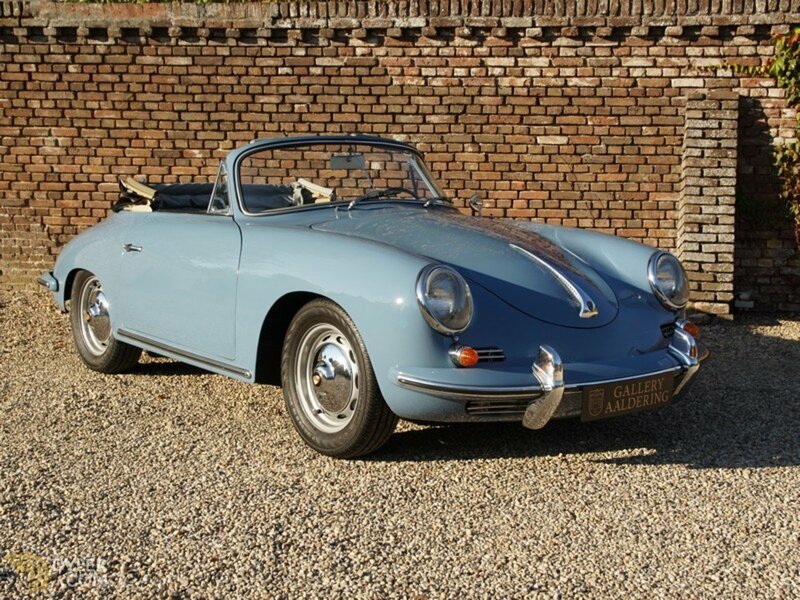 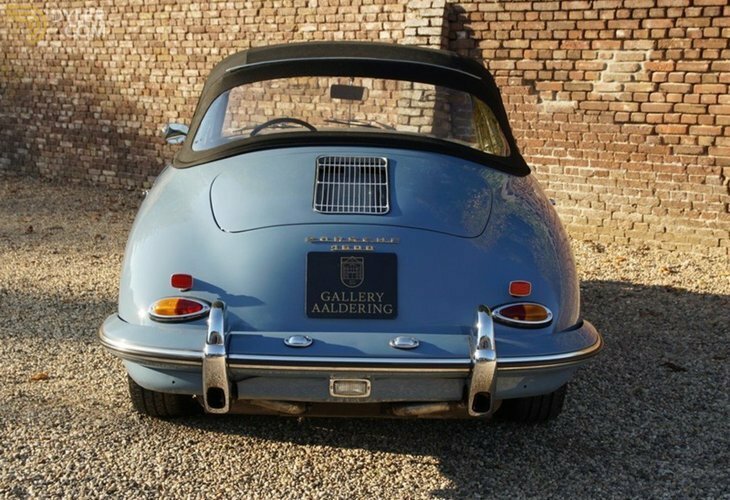 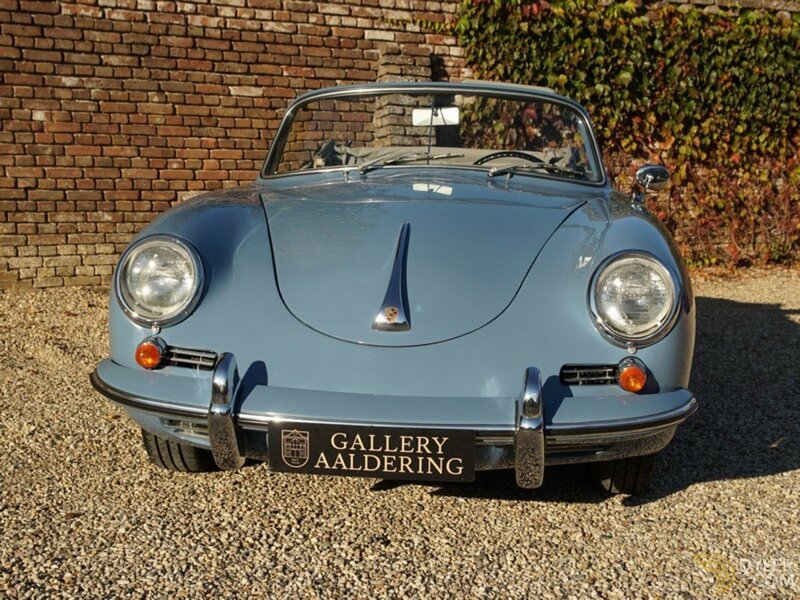 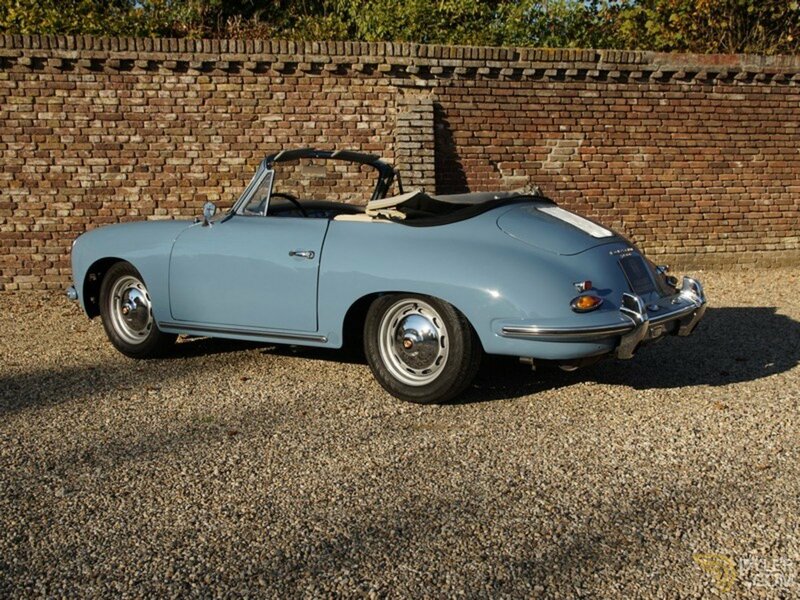 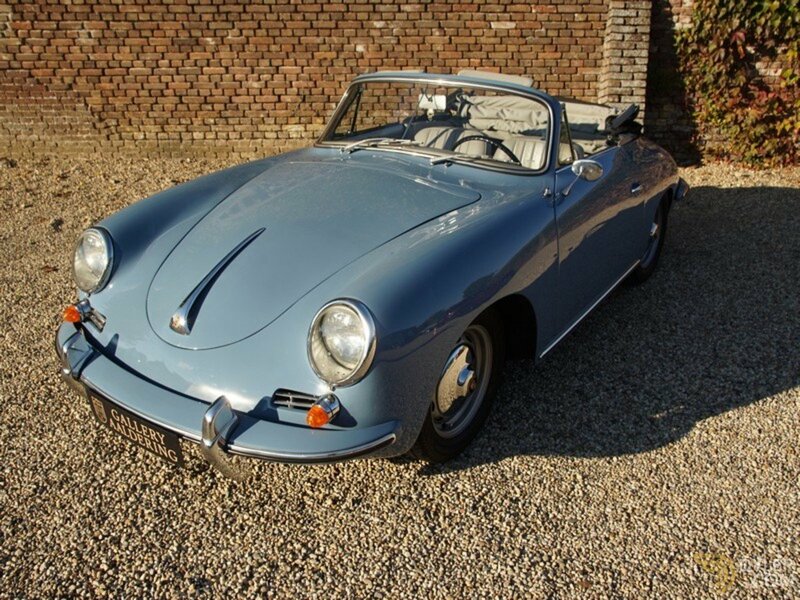 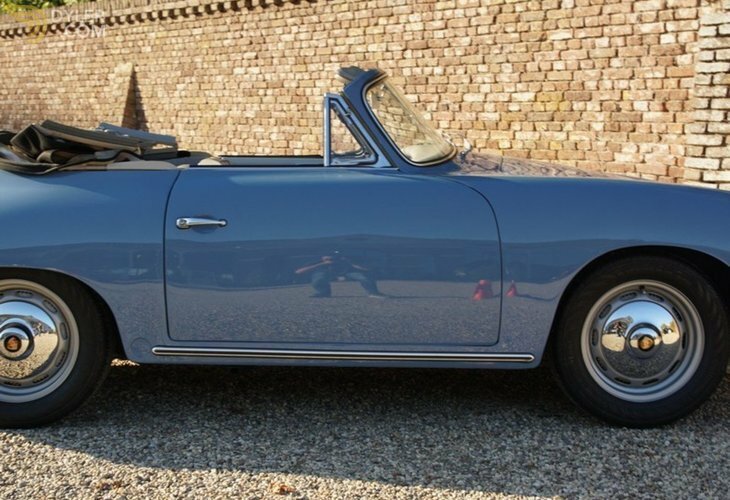 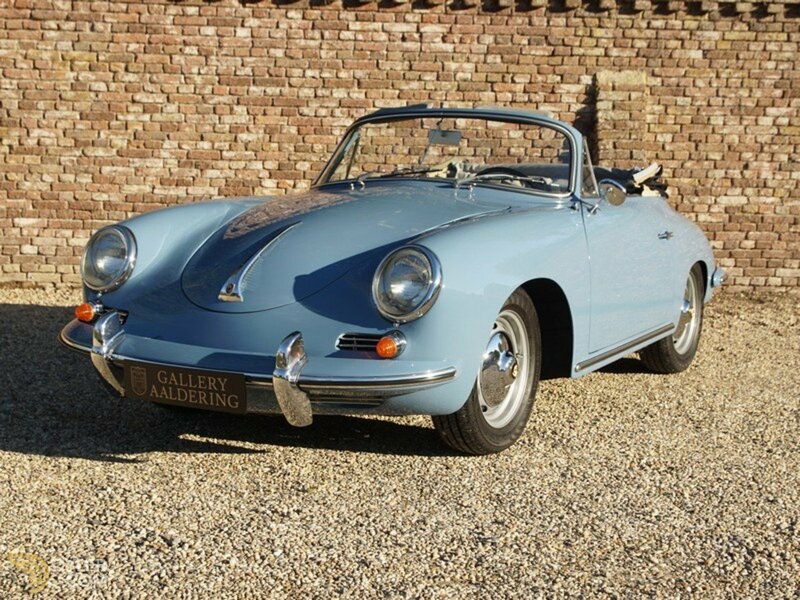 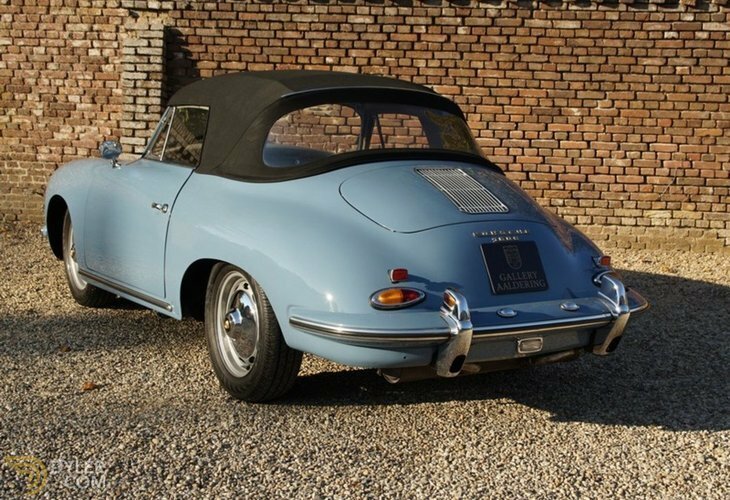 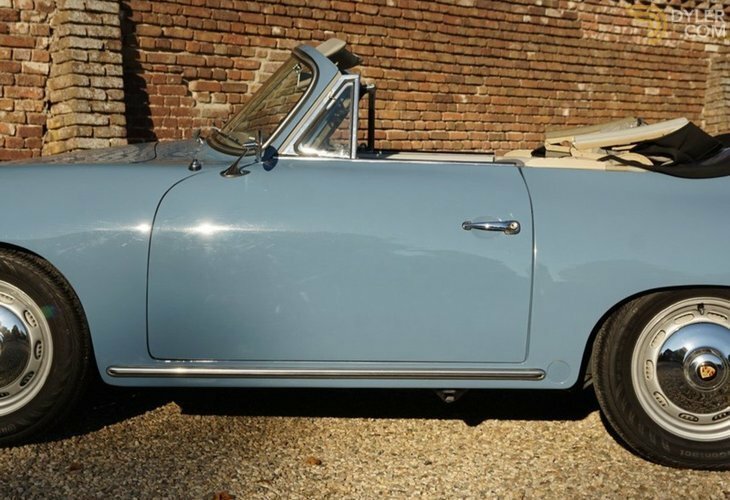 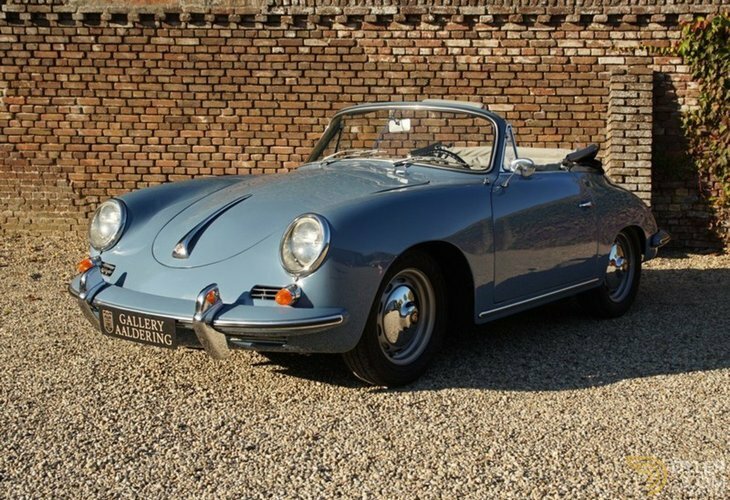 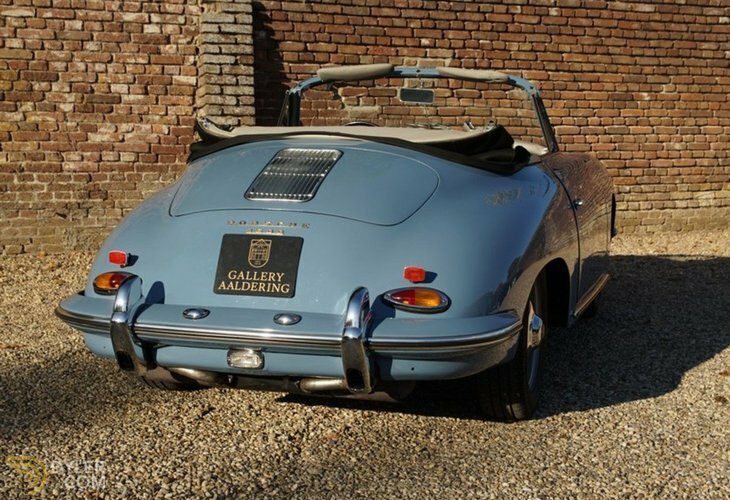 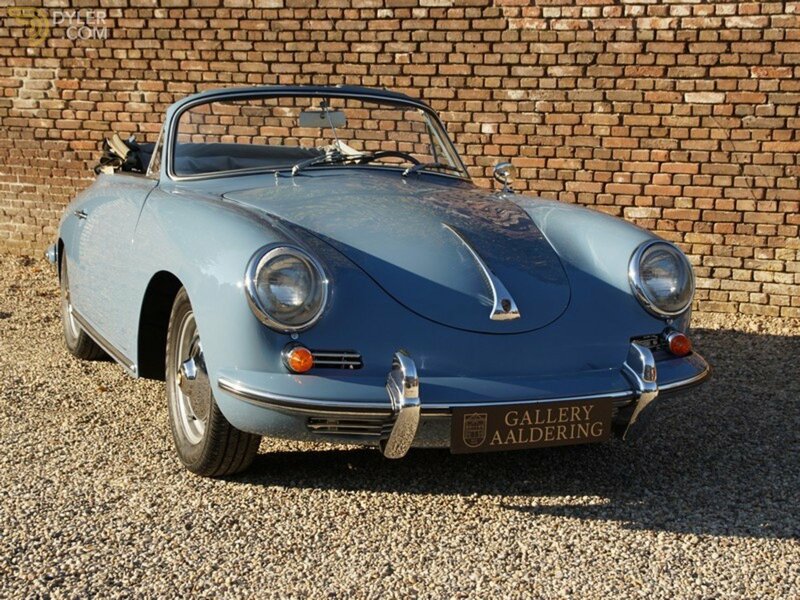 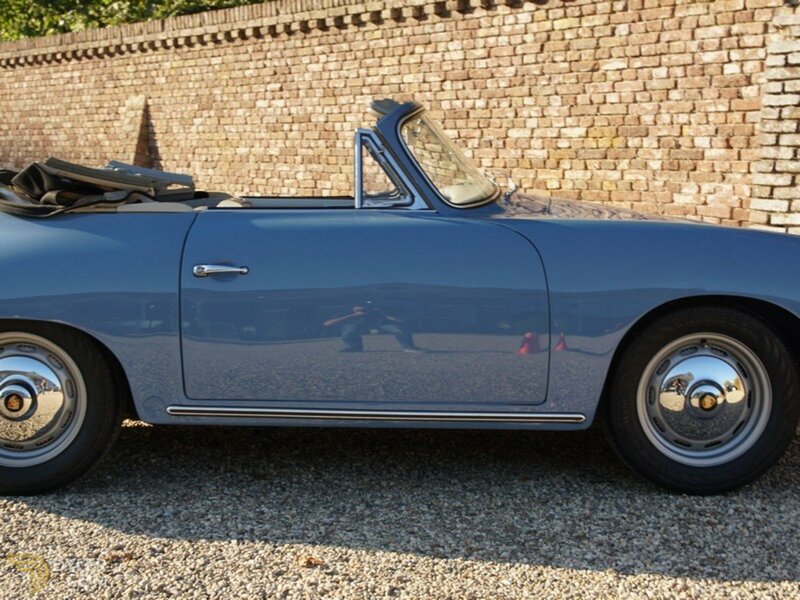 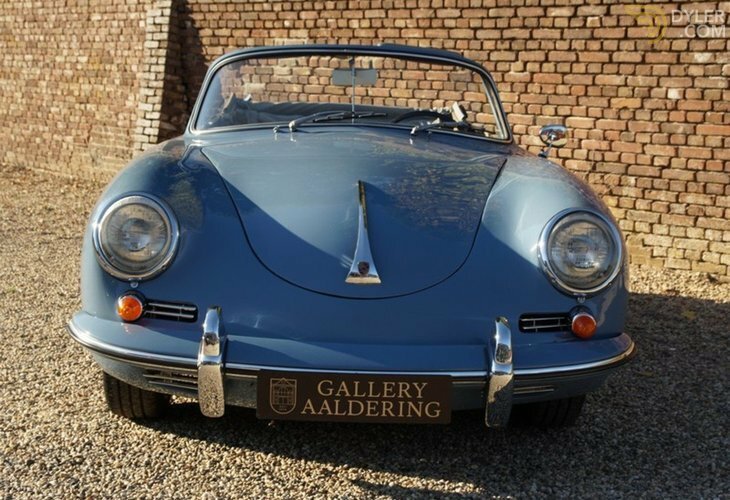 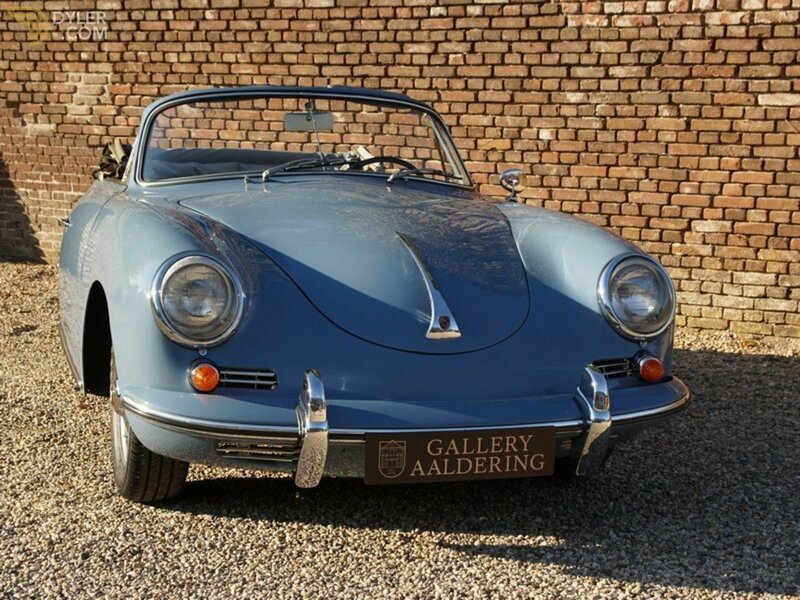 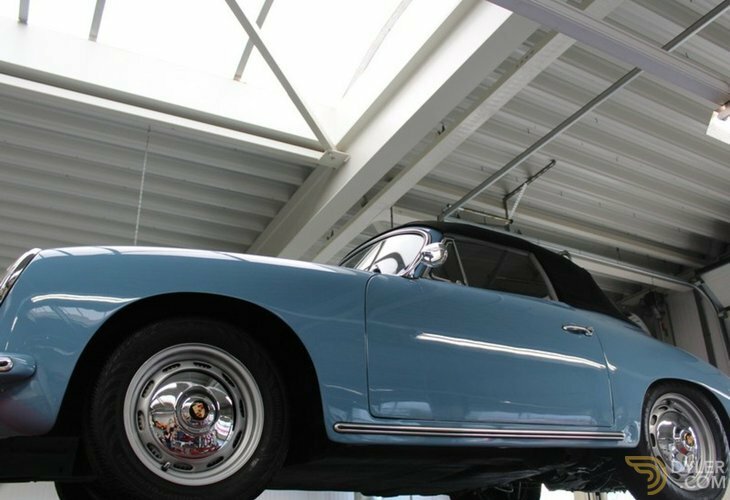 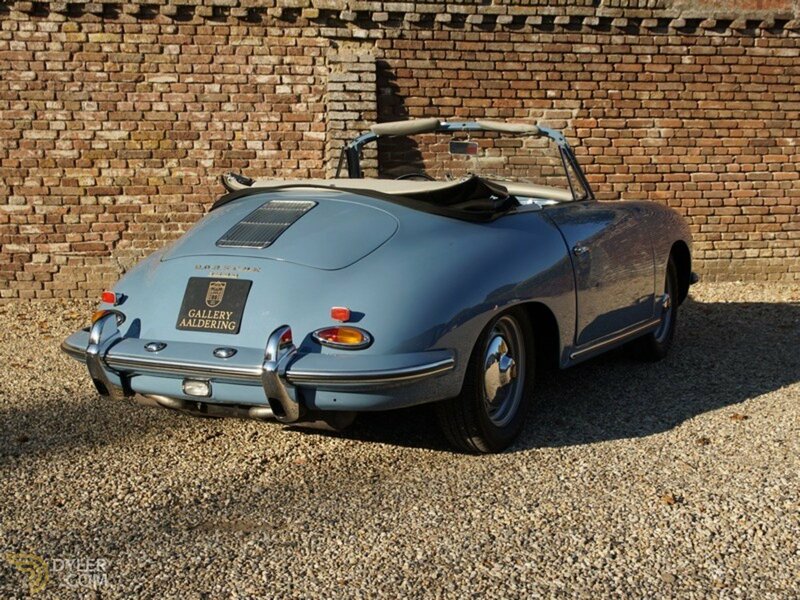 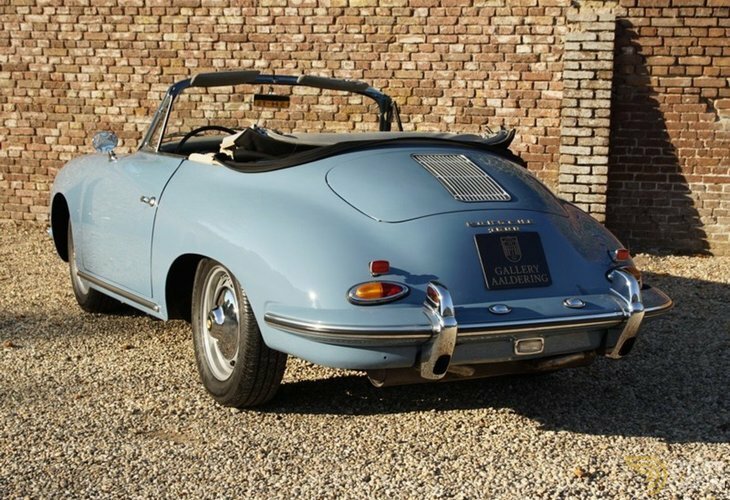 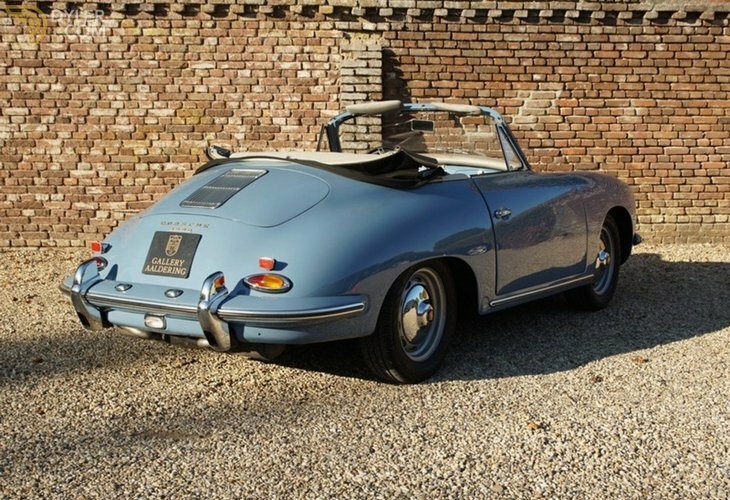 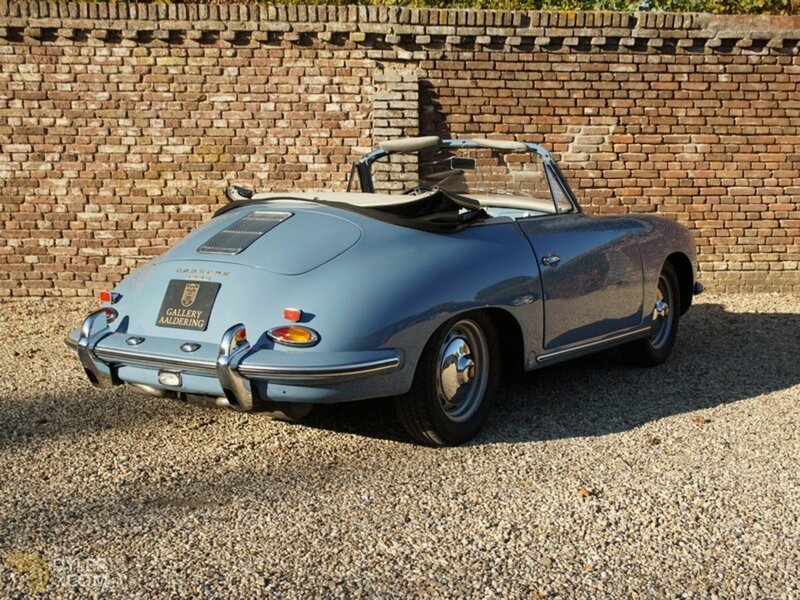 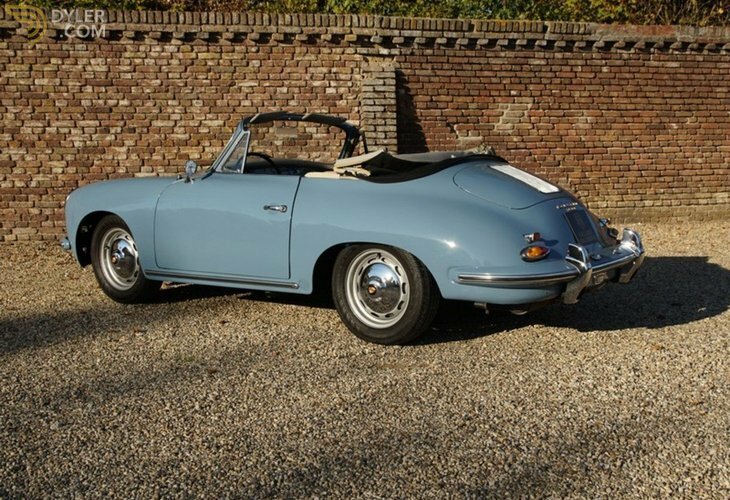 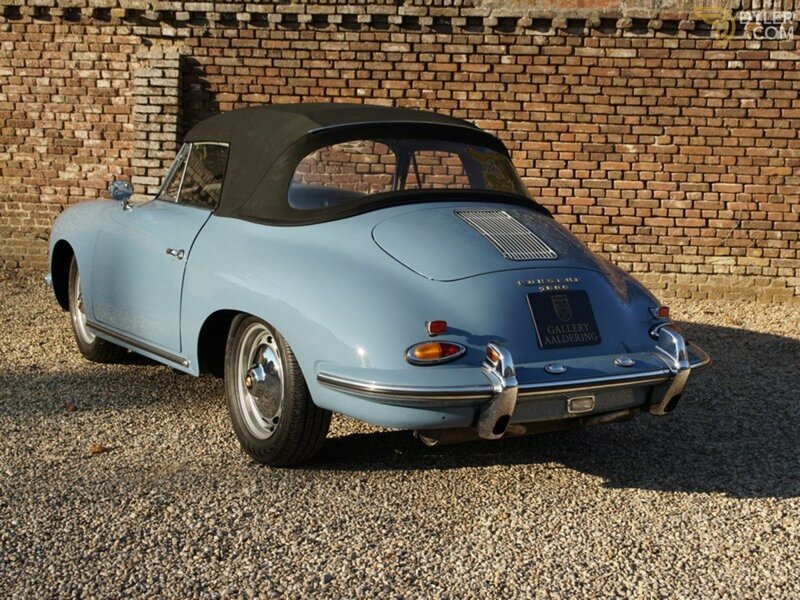 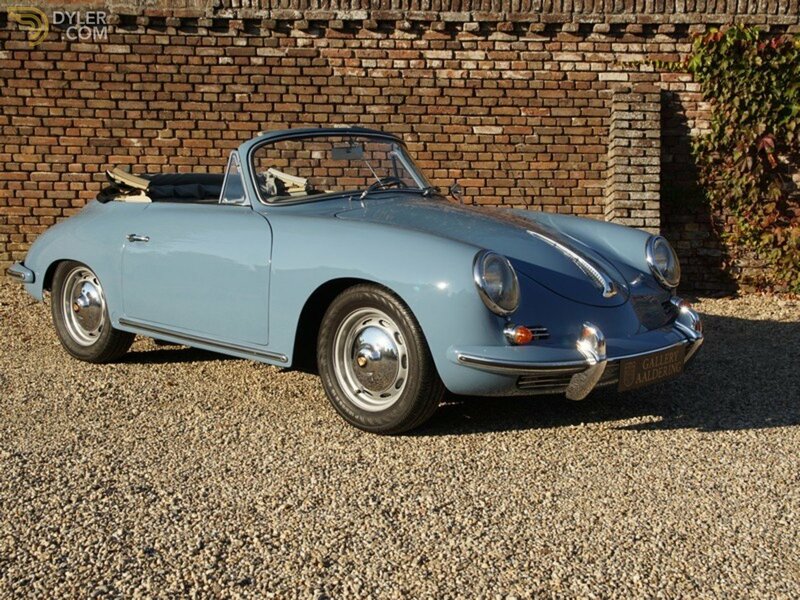 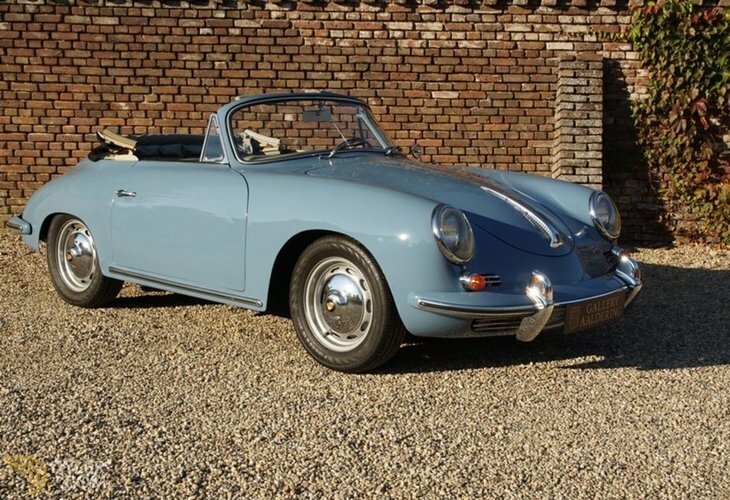 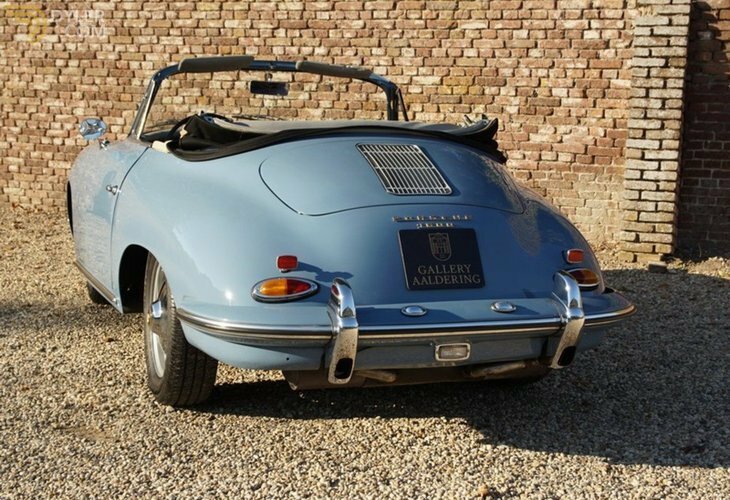 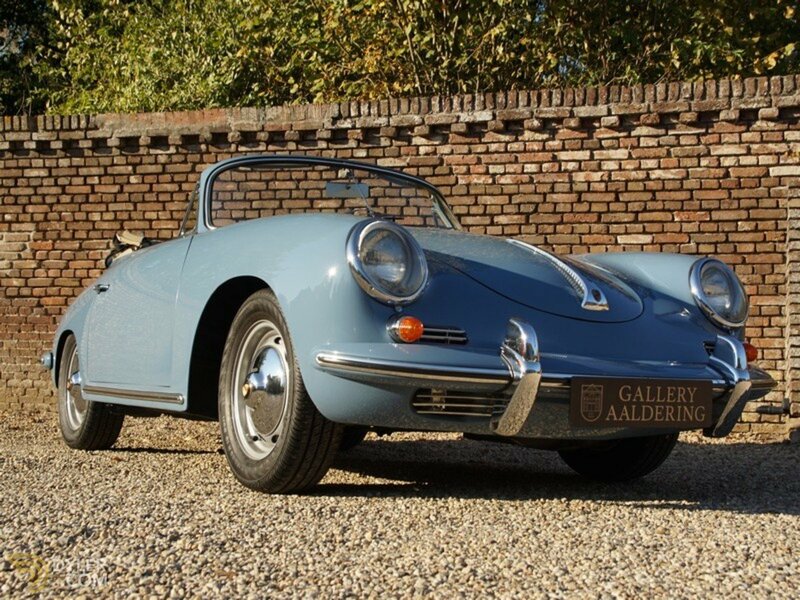 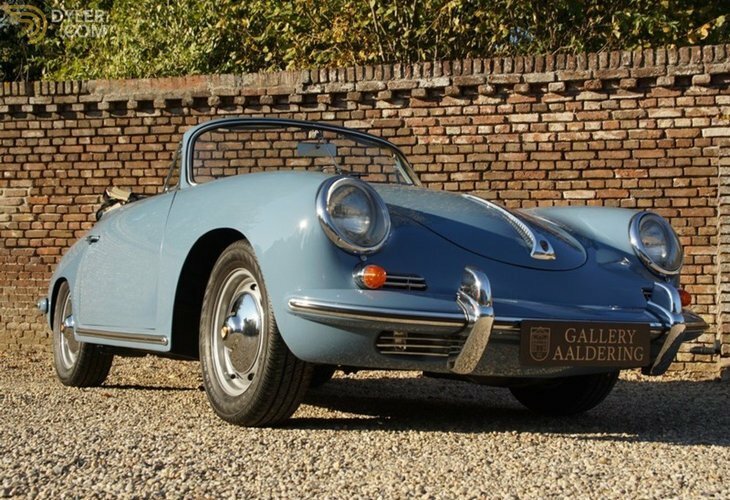 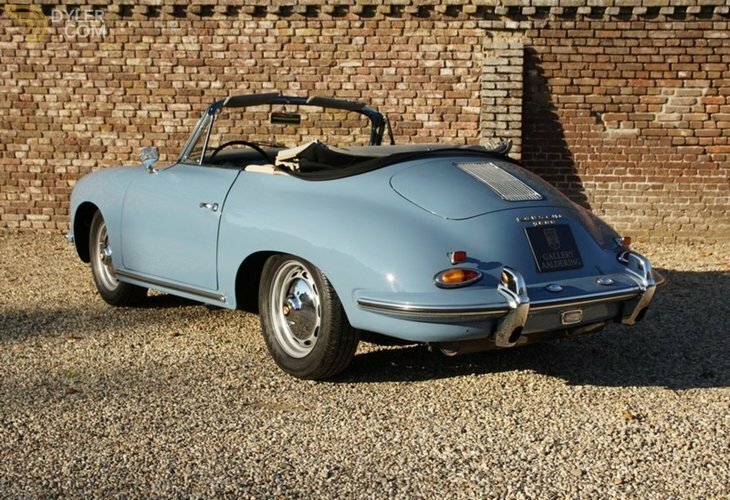 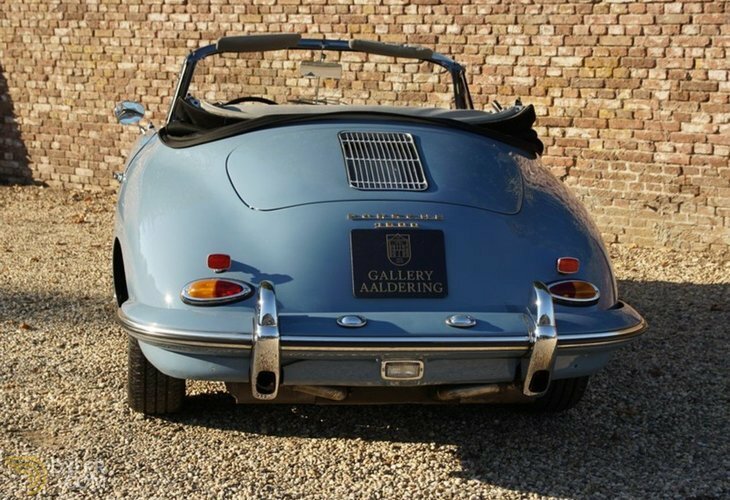 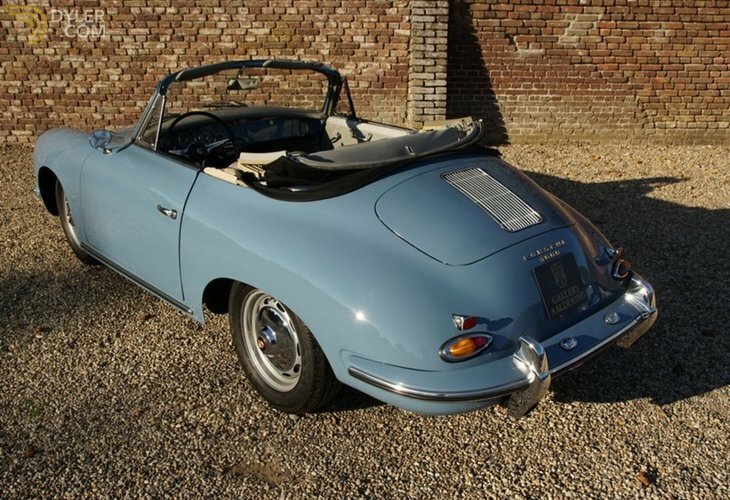 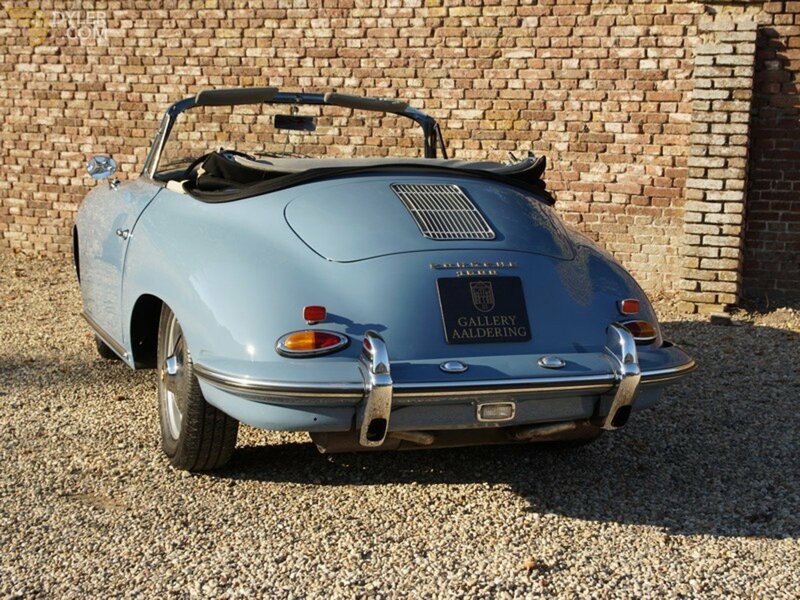 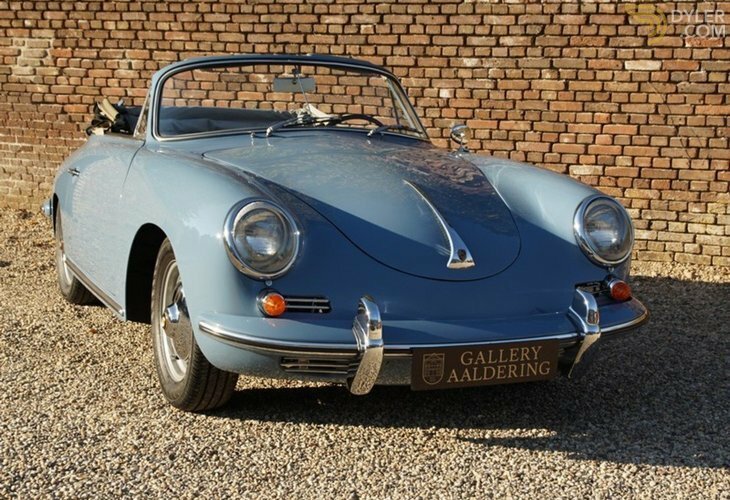 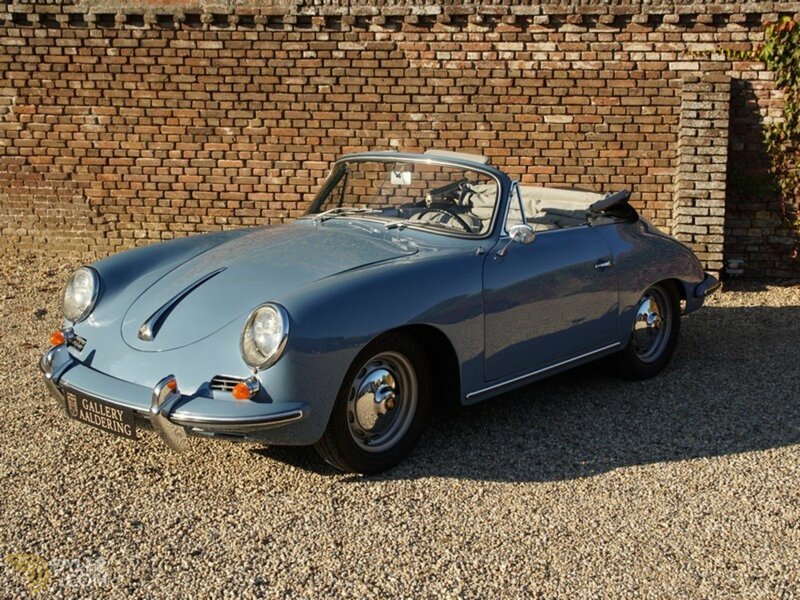 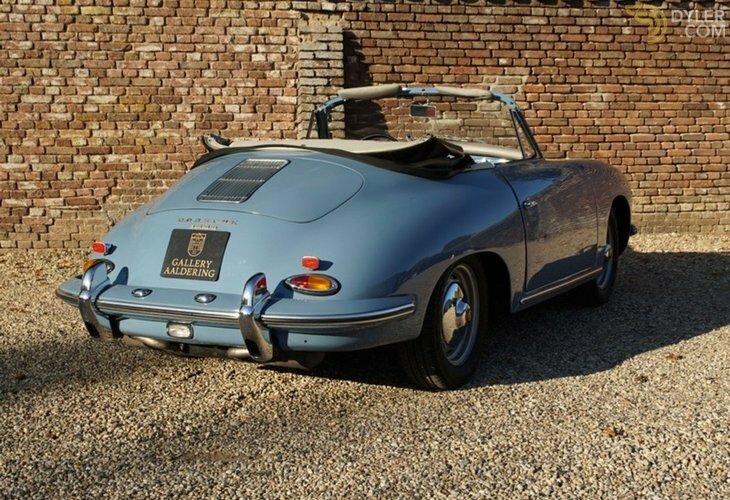 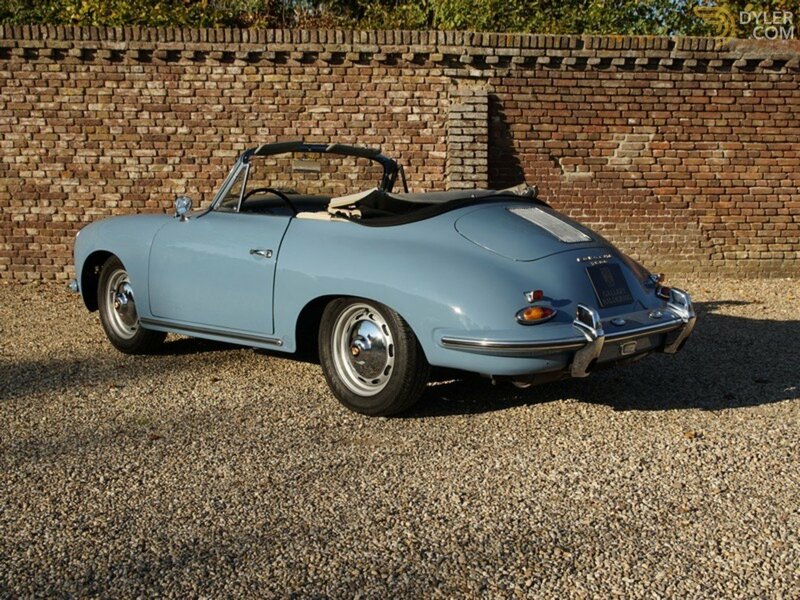 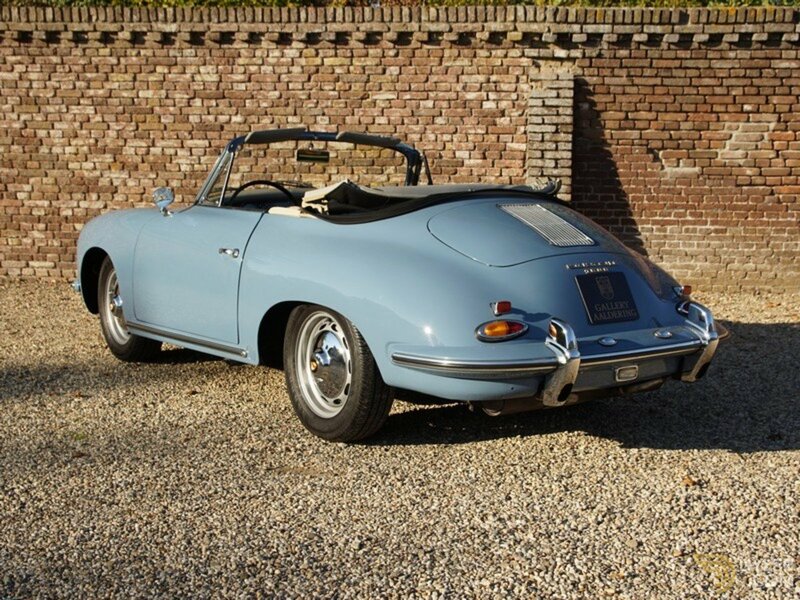 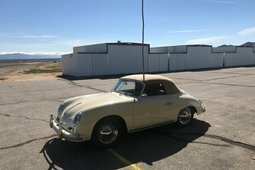 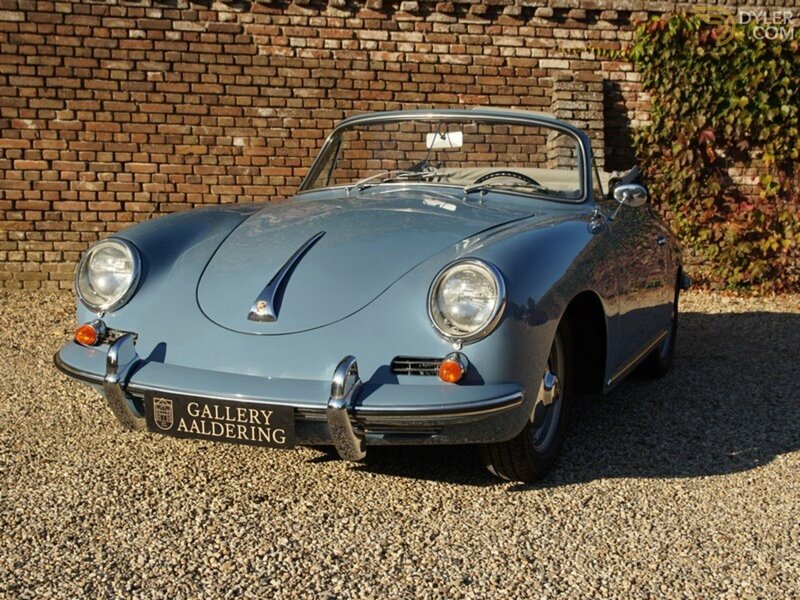 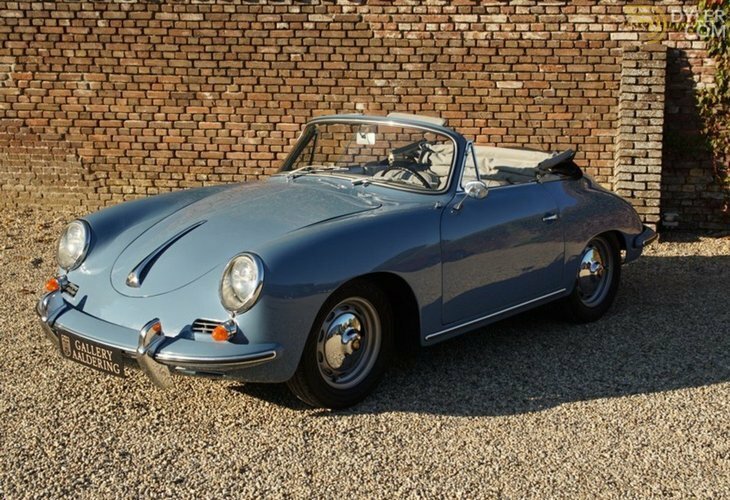 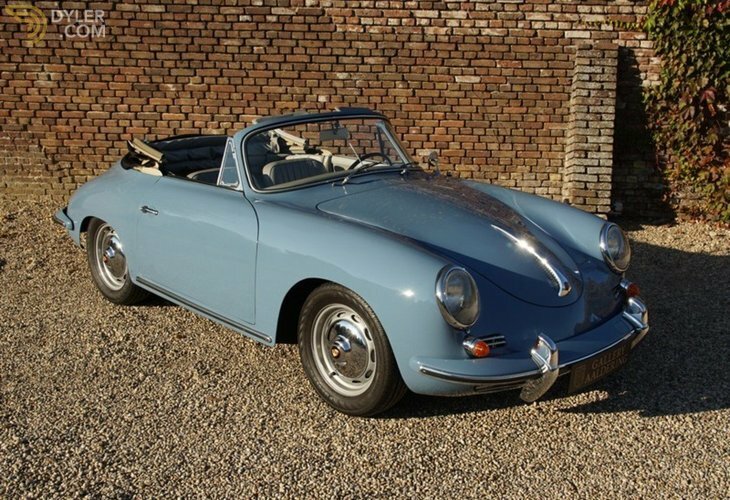 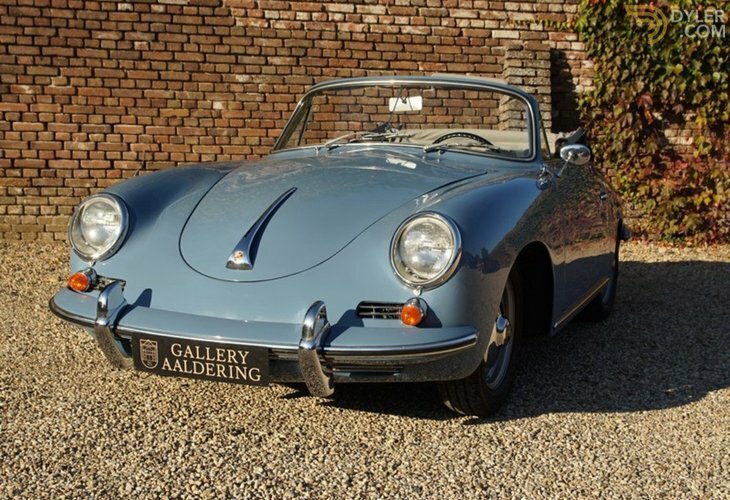 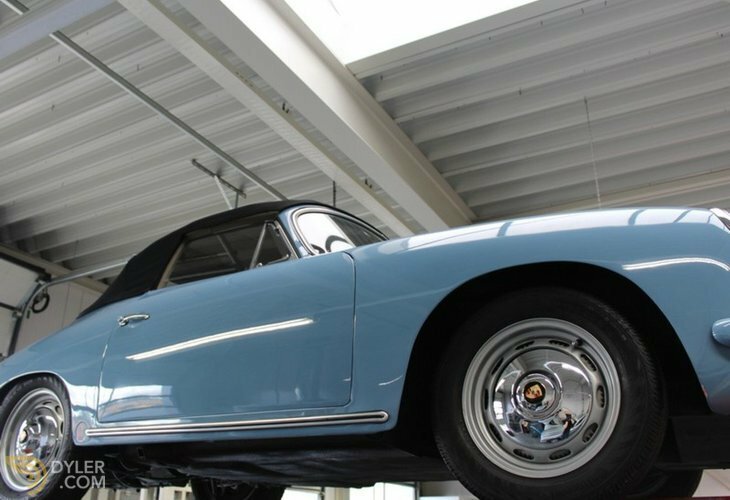 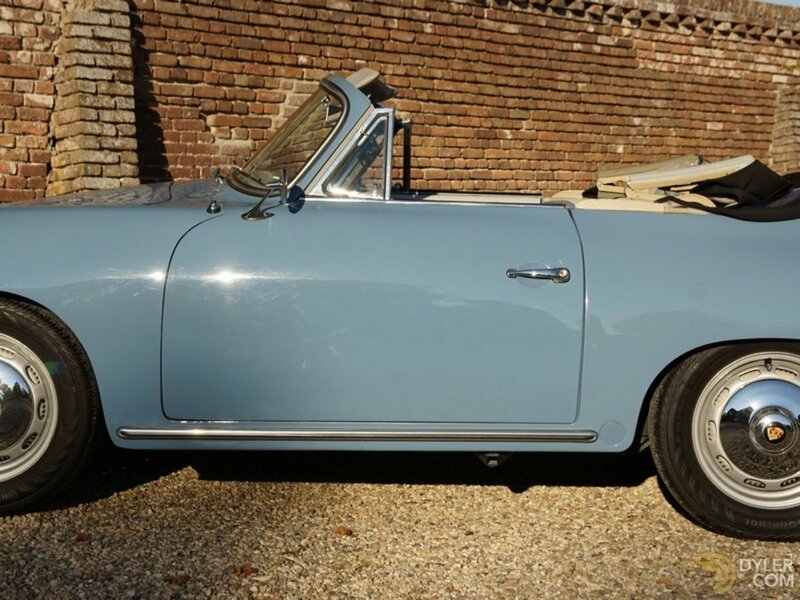 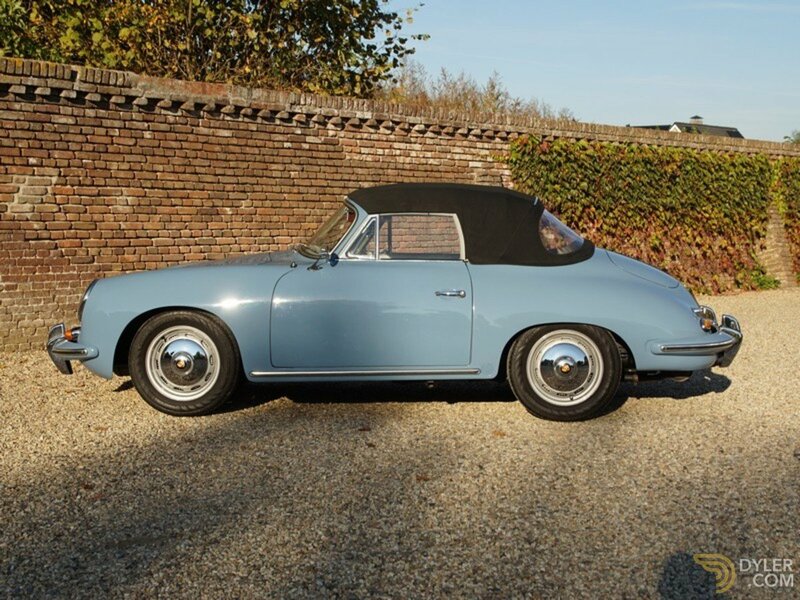 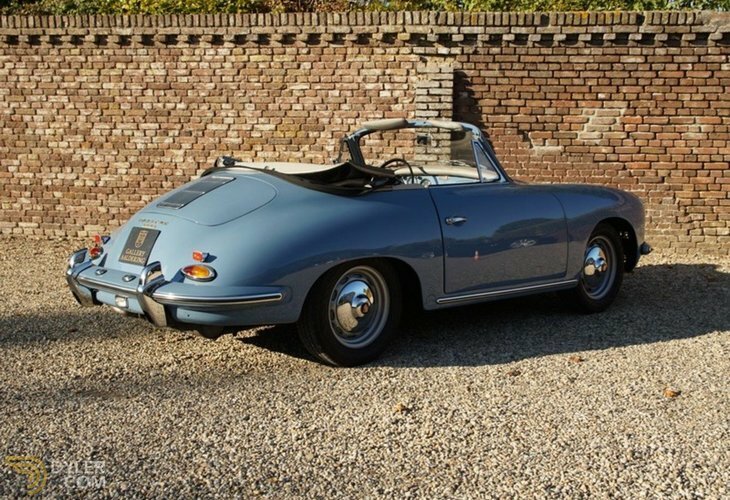 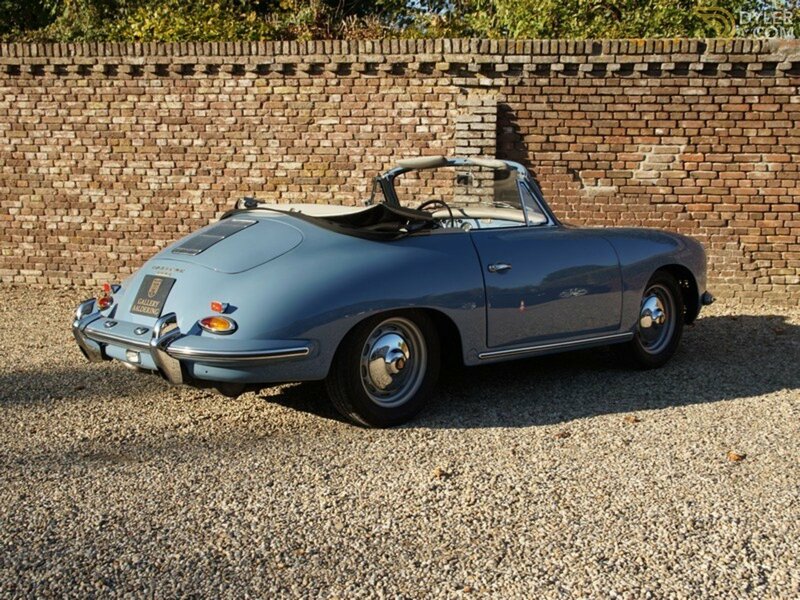 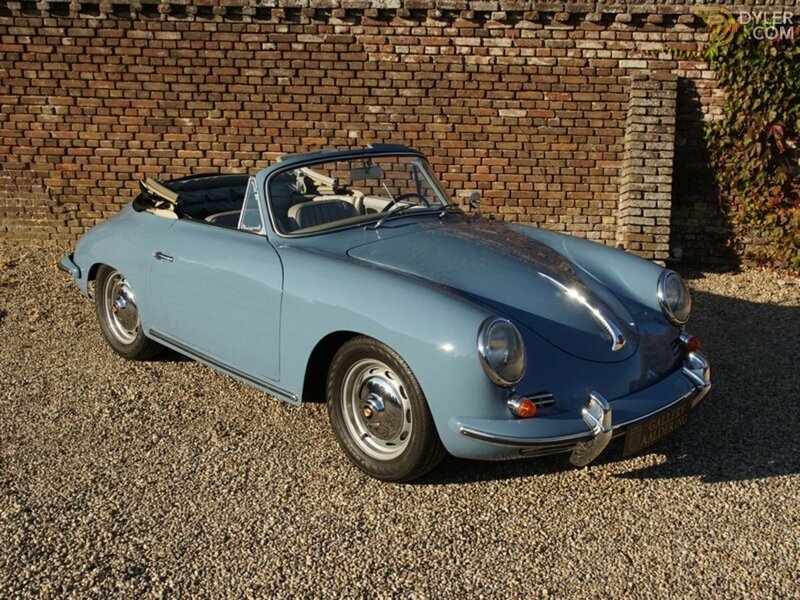 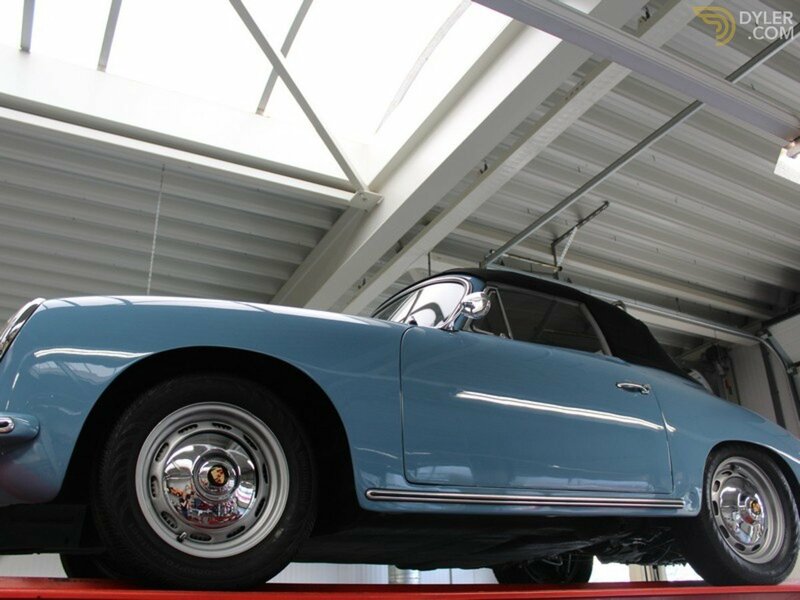 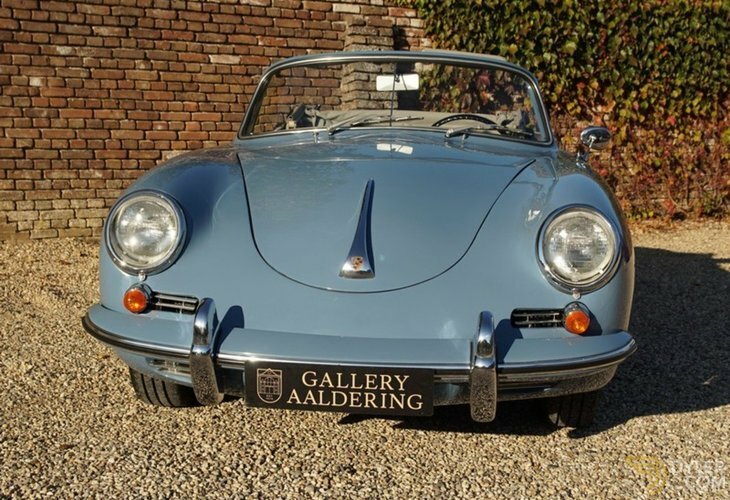 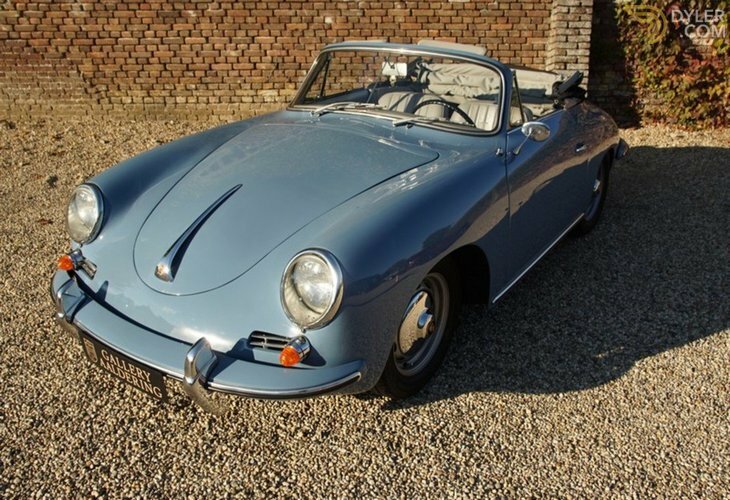 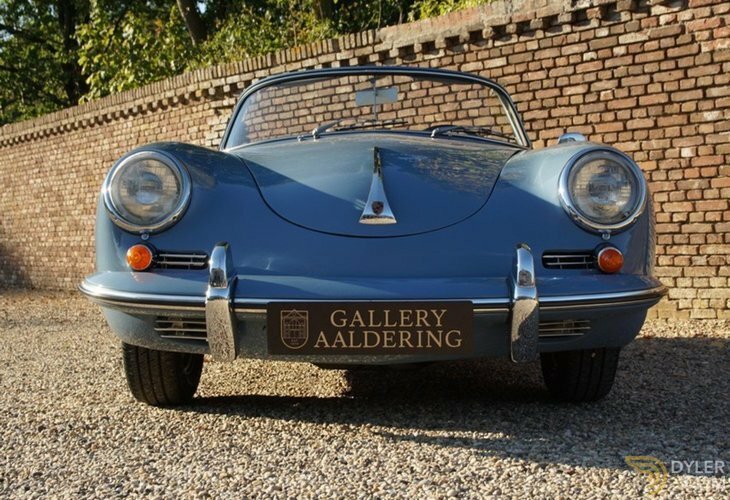 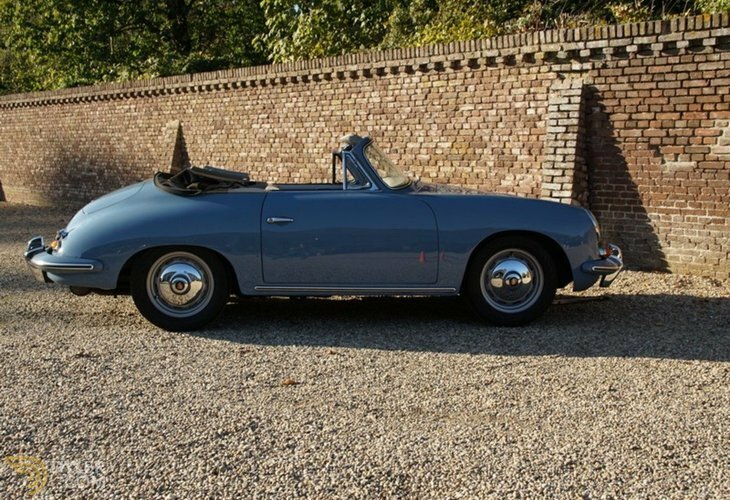 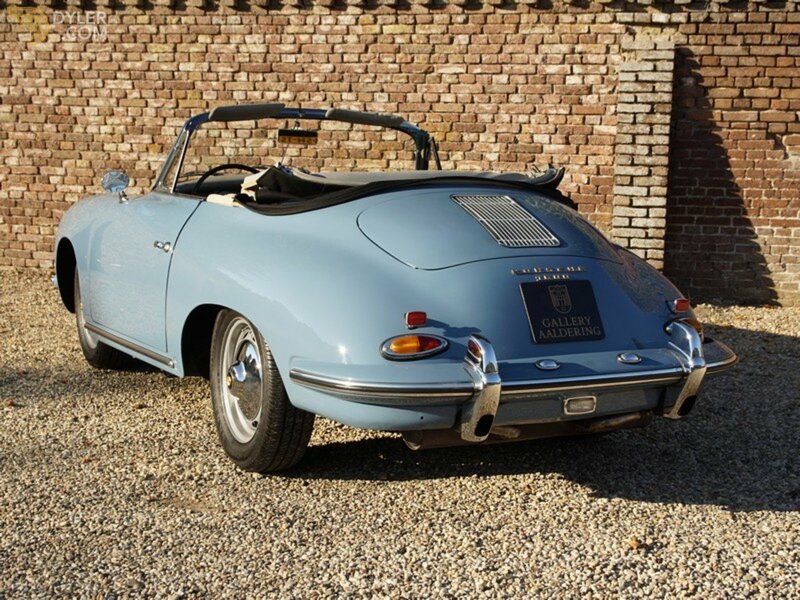 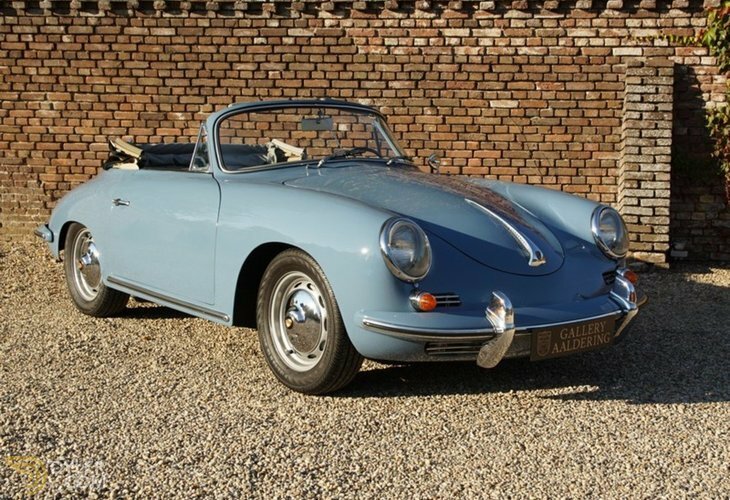 This very nice Porsche 356 B T5 1600 Reutter convertible completed production on the 14th June 1960 and was then shipped to America. 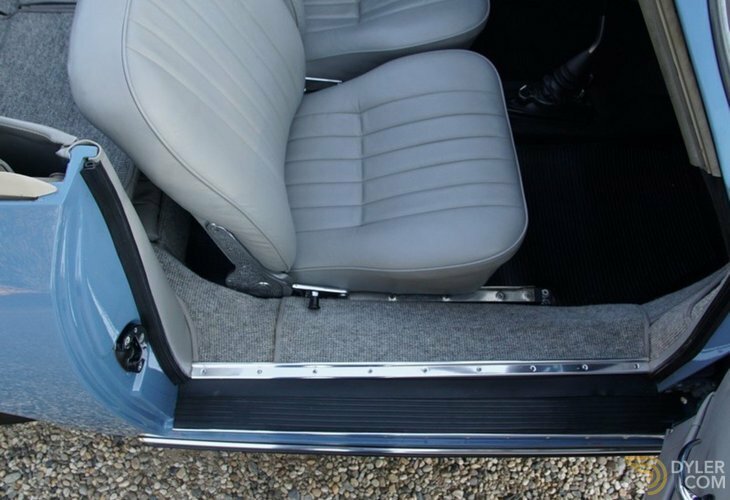 This T 5 model has that nice mid-placed rear grill and the petrol tank lid under the bonnet. 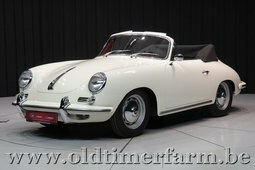 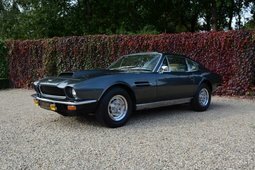 It has been restored, keeping to the original specs and details. 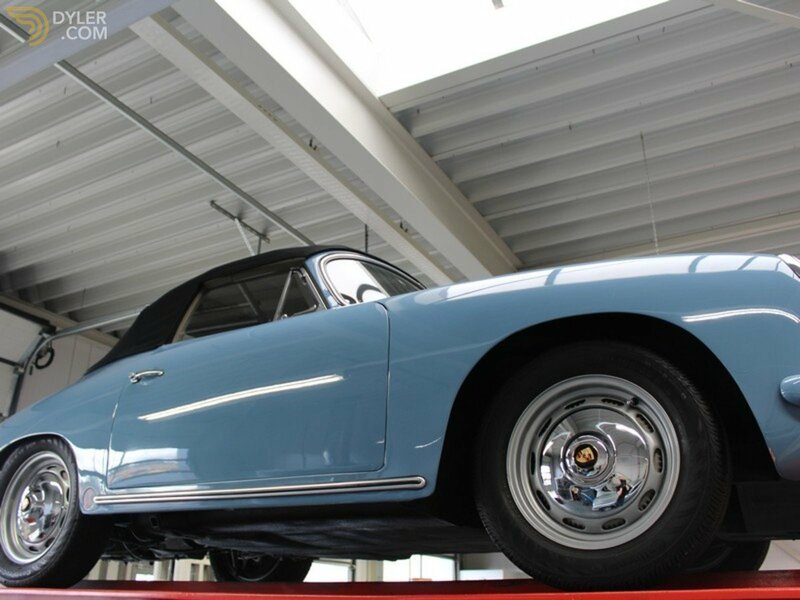 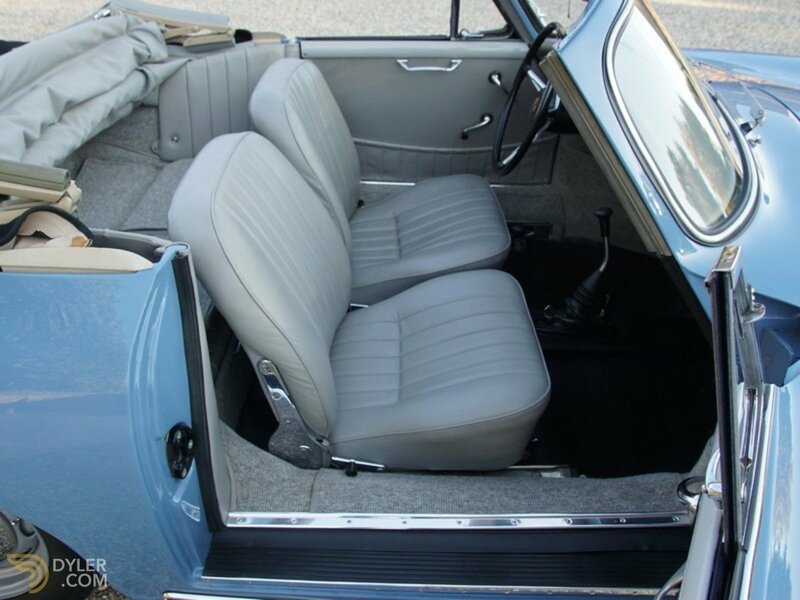 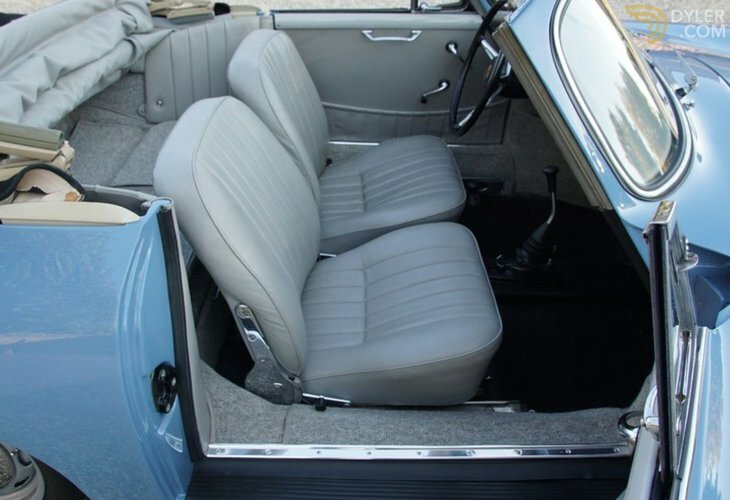 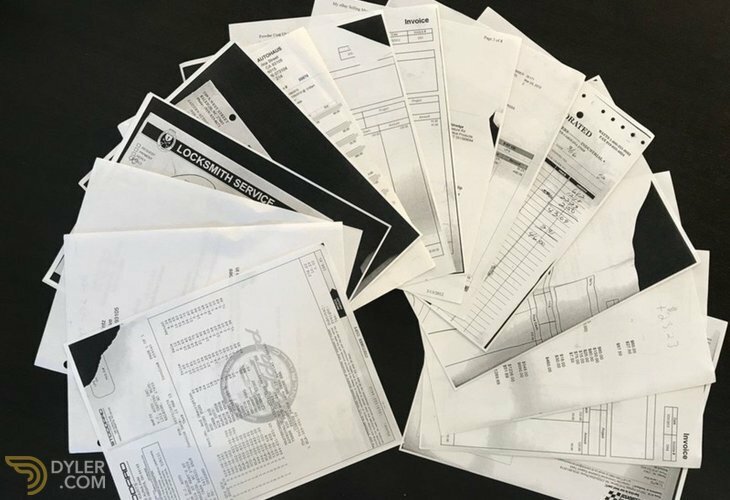 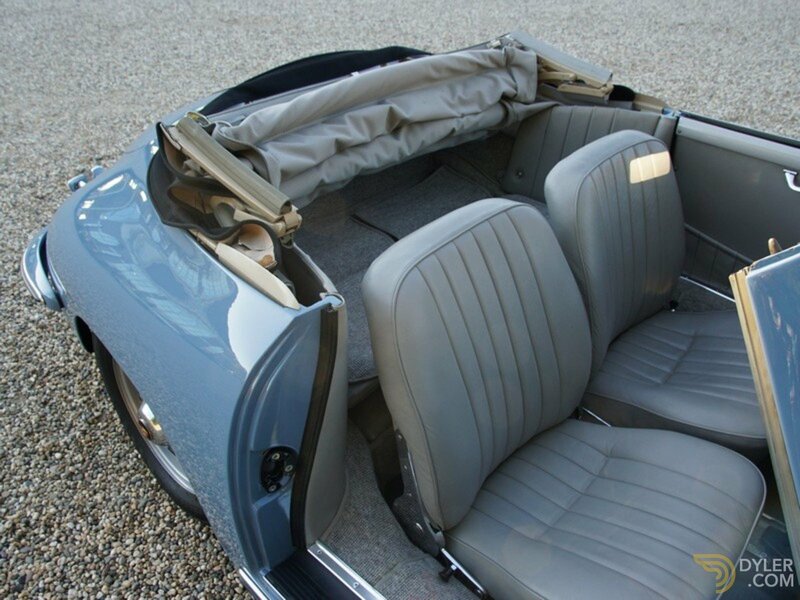 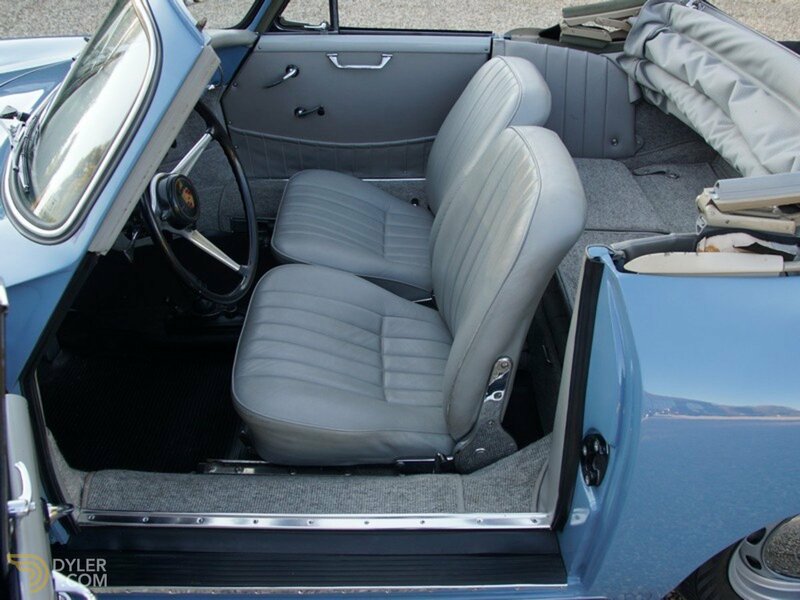 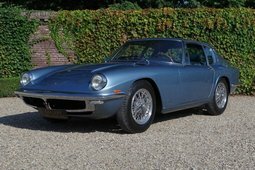 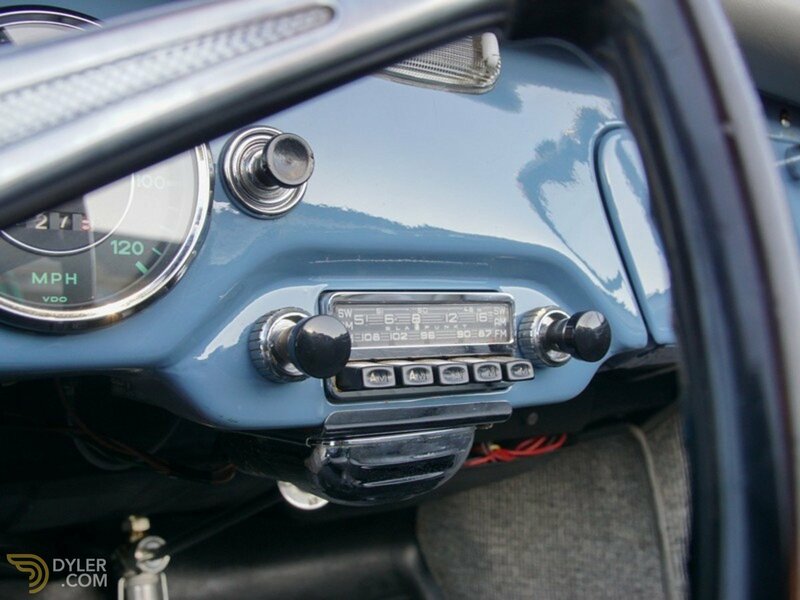 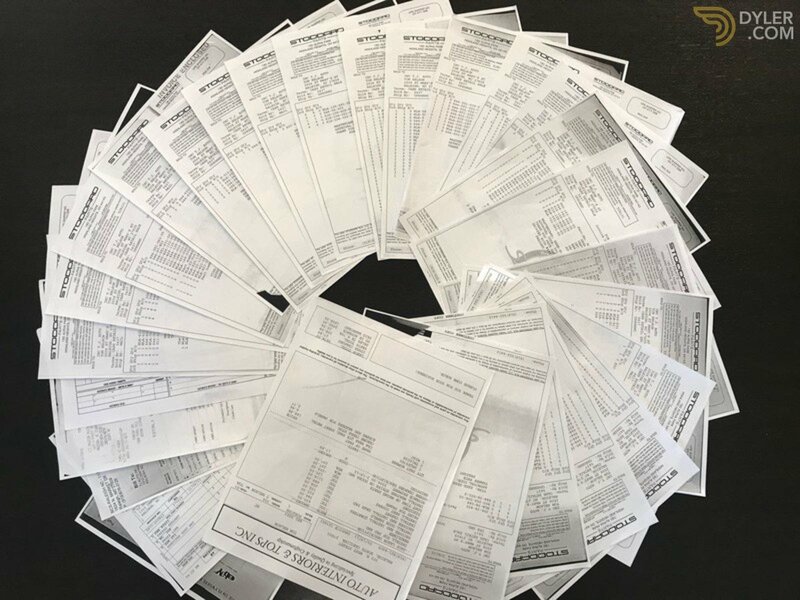 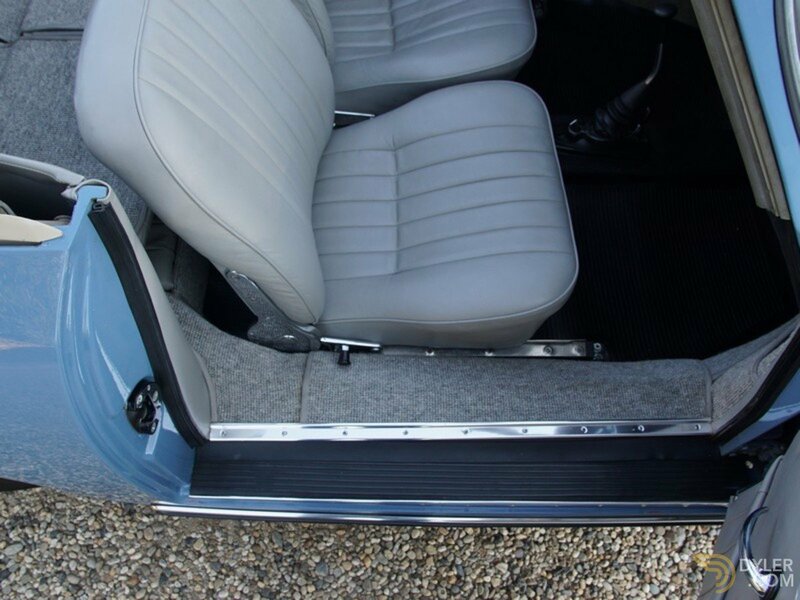 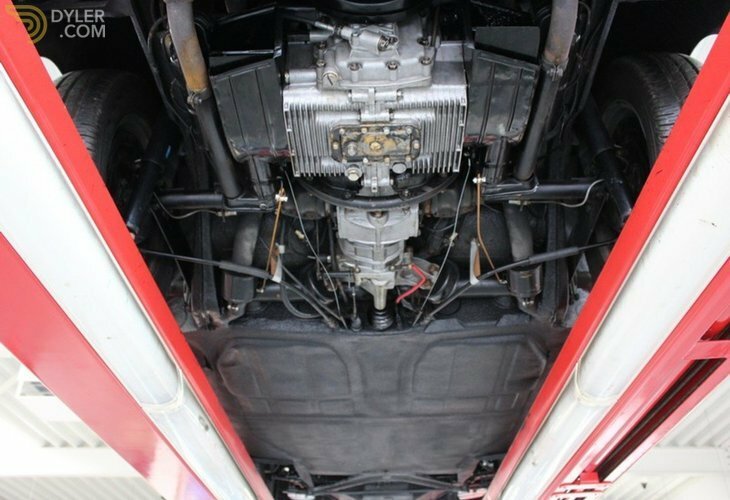 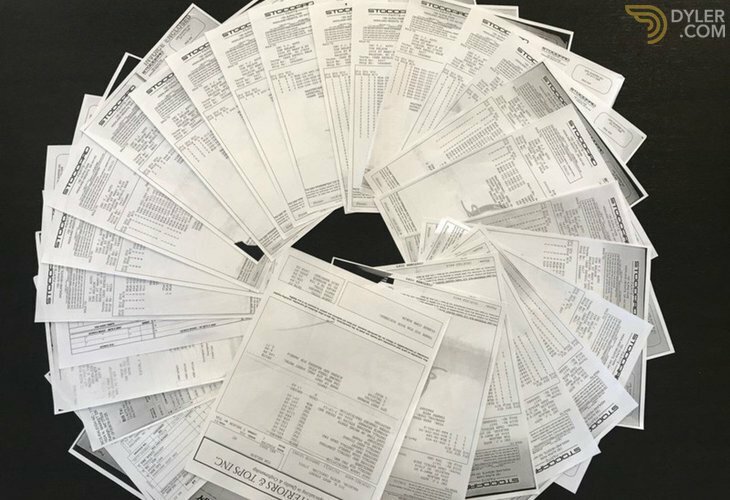 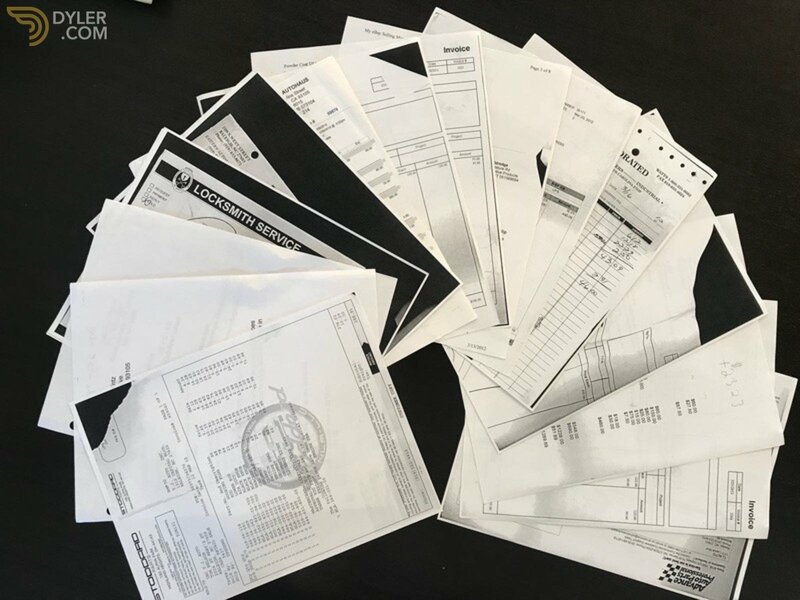 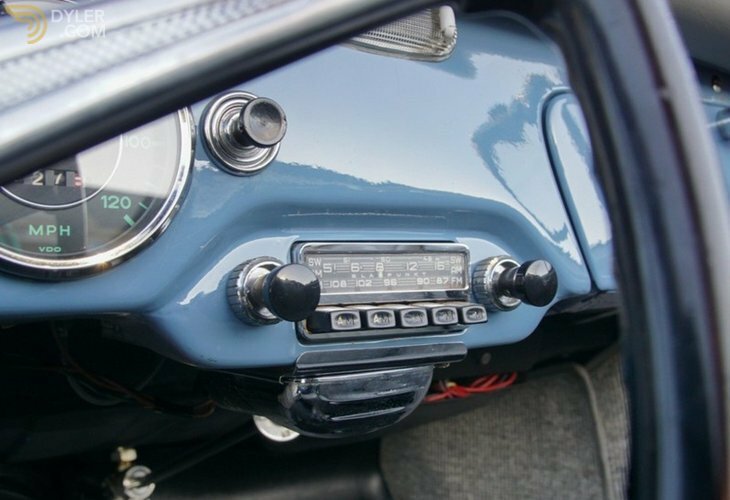 The result is an beautiful car in great working order and in true authentic factory condition. 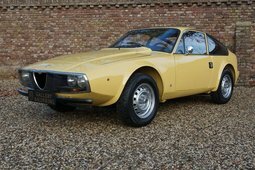 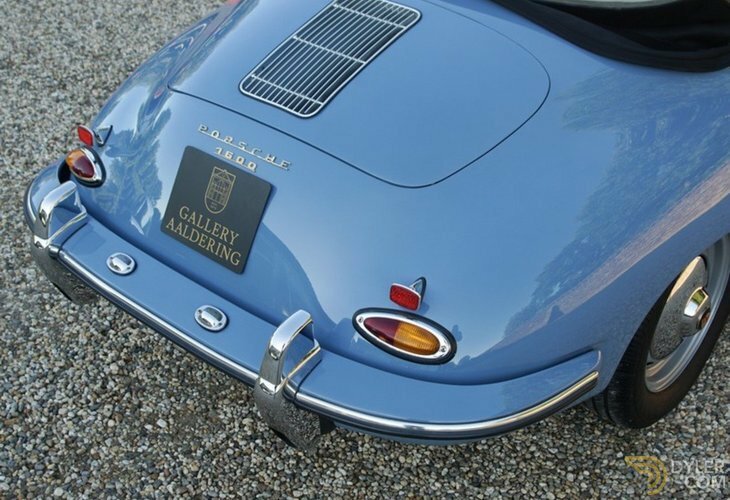 No detail was overlooked, even the original ‘Reutter verdeck’ type number as well as the bodywork and colour number plates are still present. 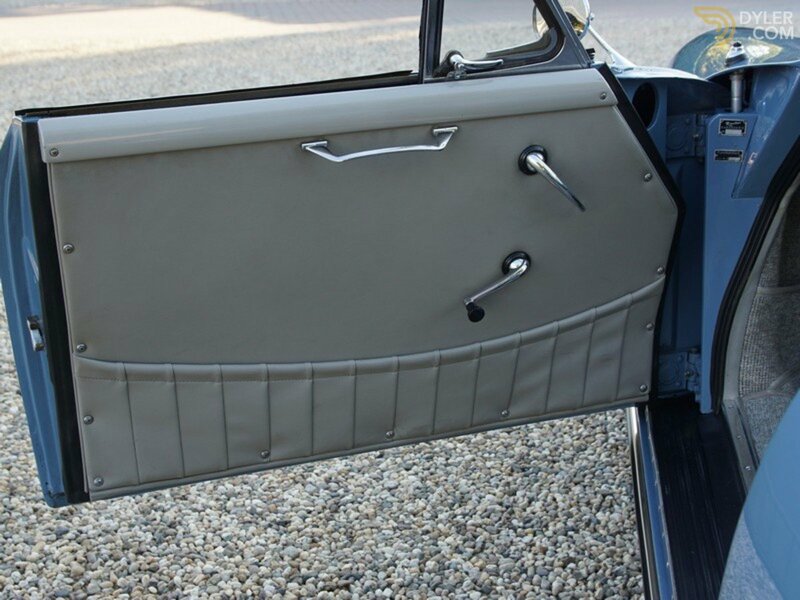 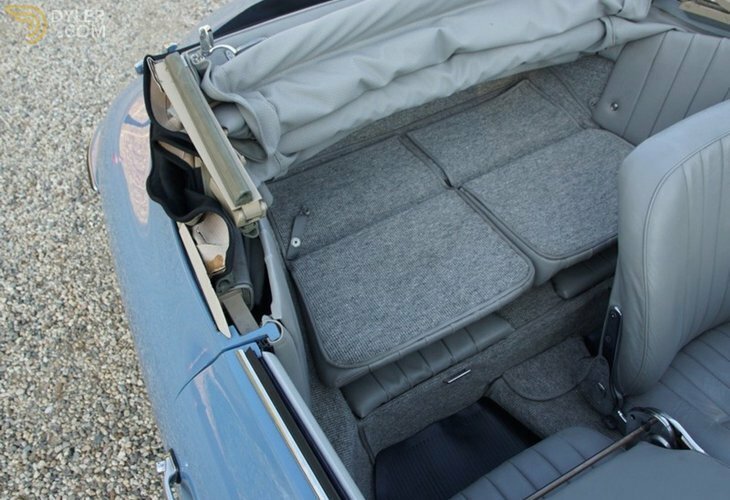 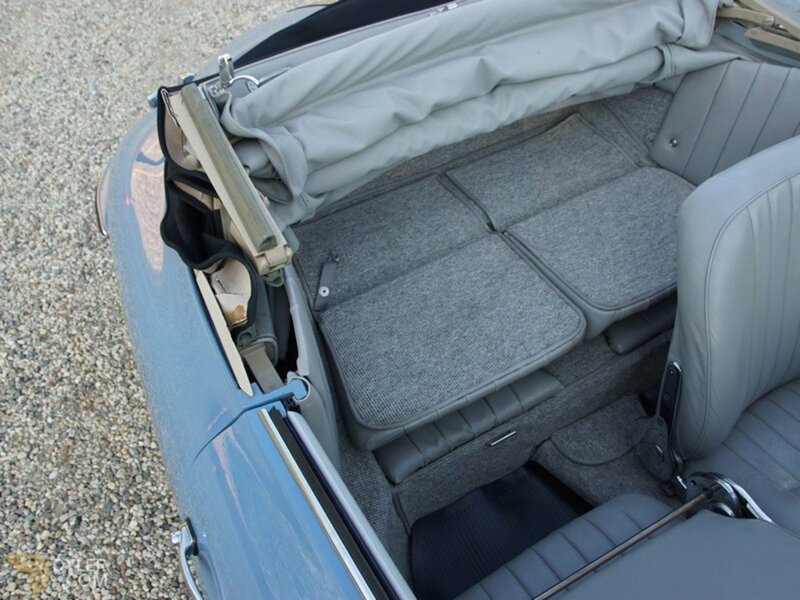 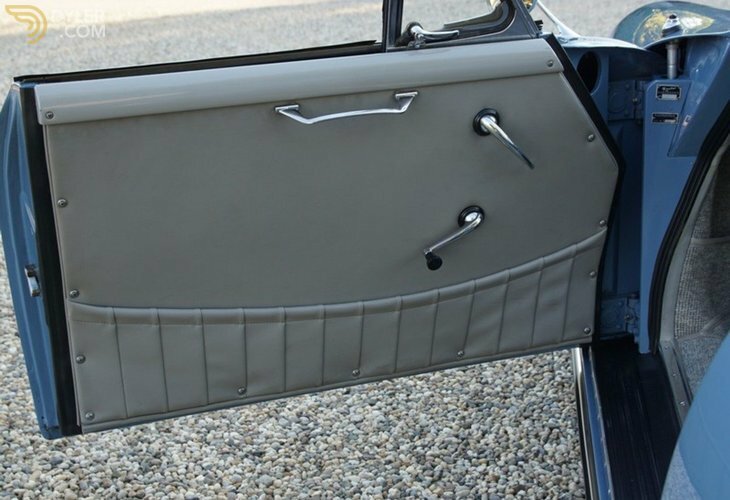 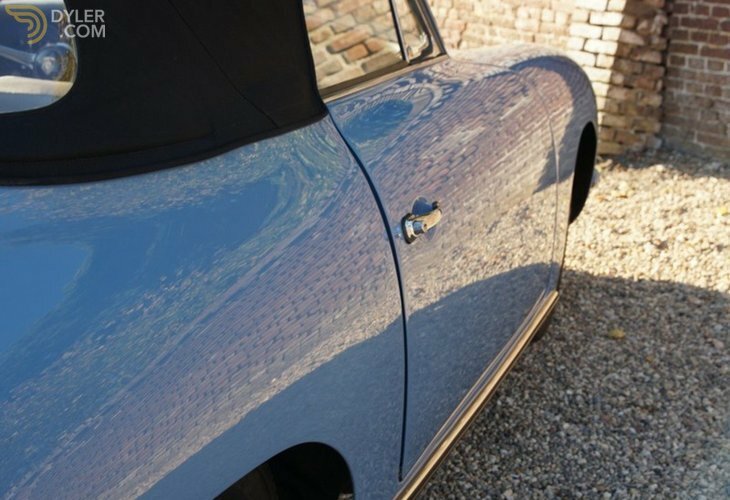 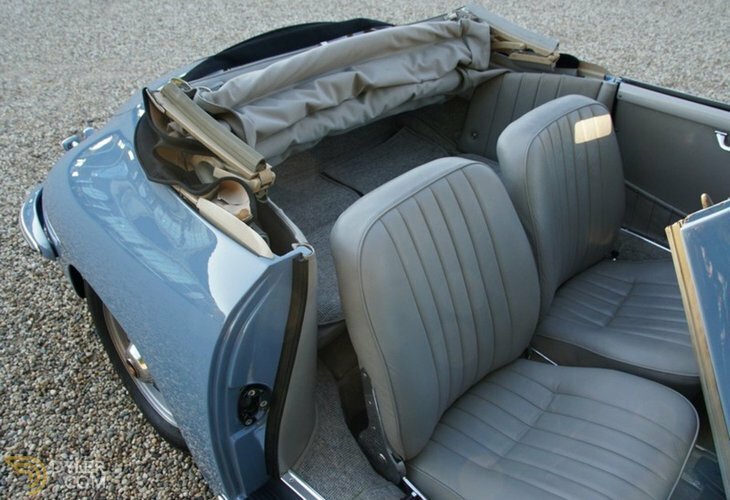 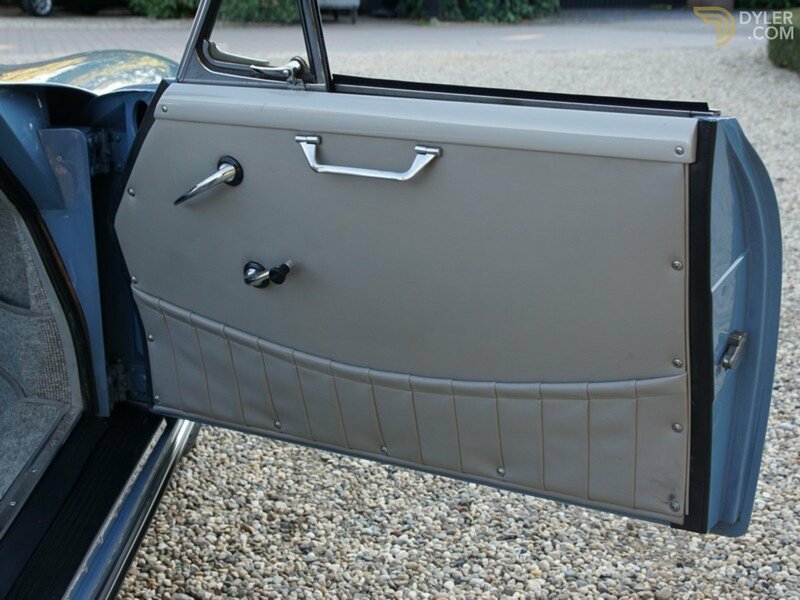 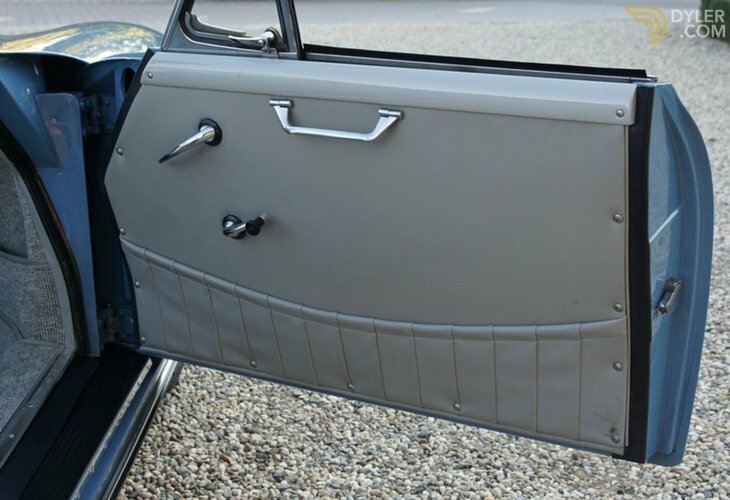 The straight bodywork has perfect fitting body panels. 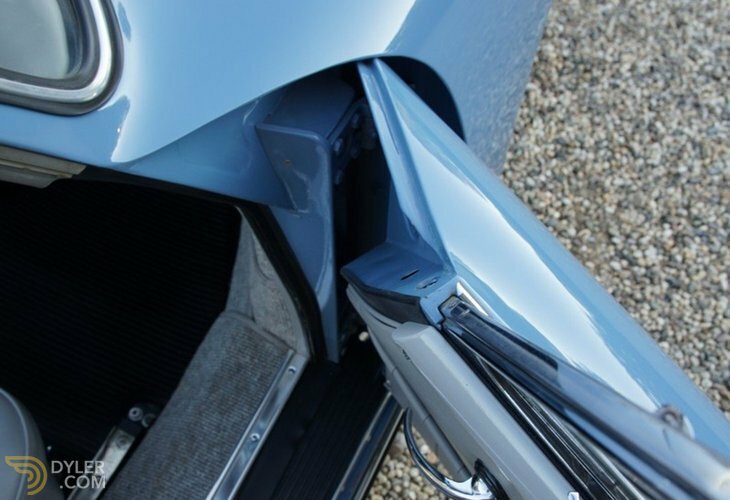 The paintwork and chrome work are as good as new. 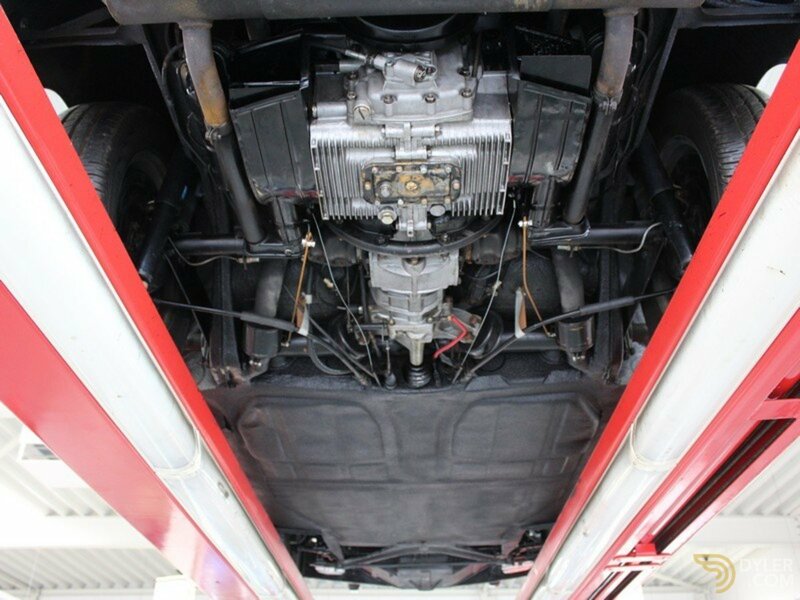 The very original underbody has no signs of rust at all. 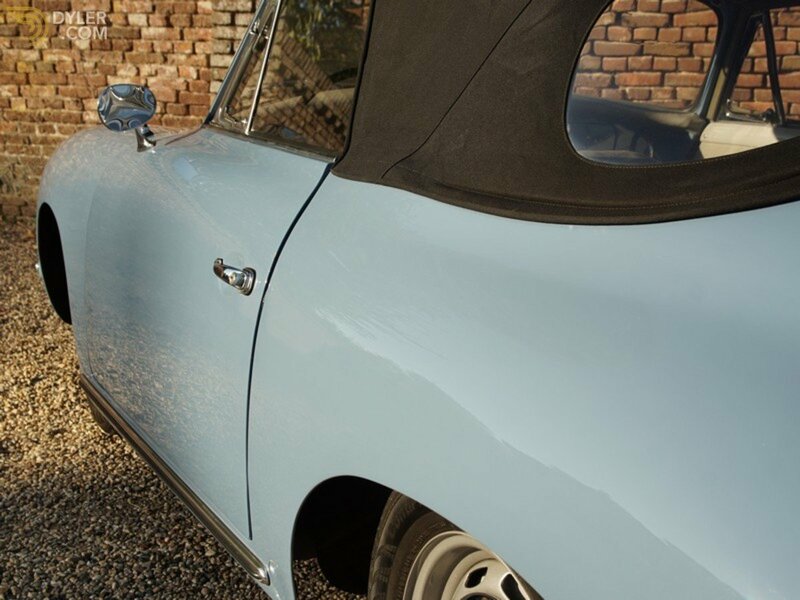 Finished in the original rare colour of ‘Aetna Blue/6003’ in combination with a lovely ‘Light Grey’ trim and black hood. 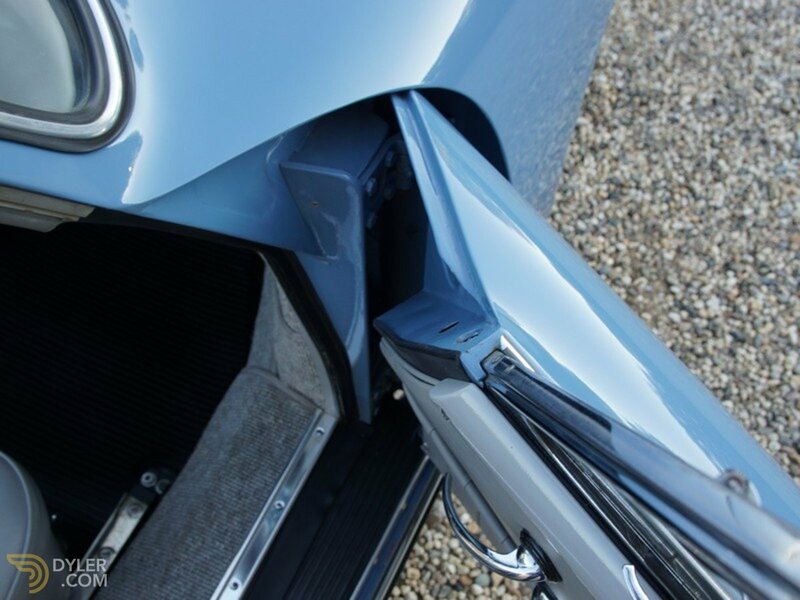 It has a factory fitted wing mirror. 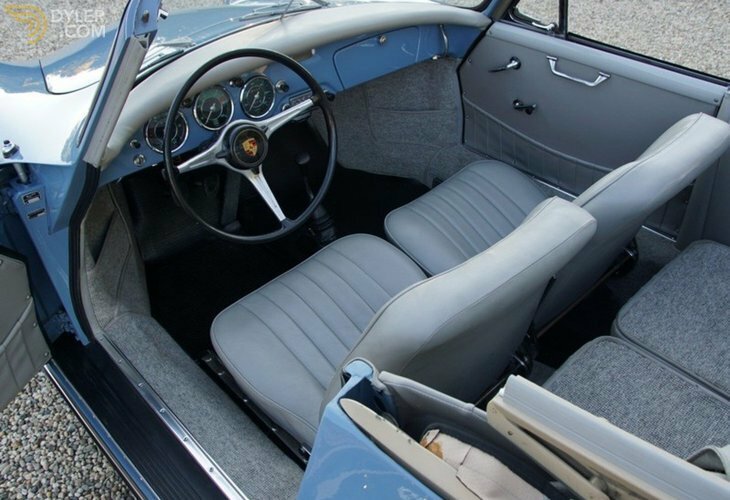 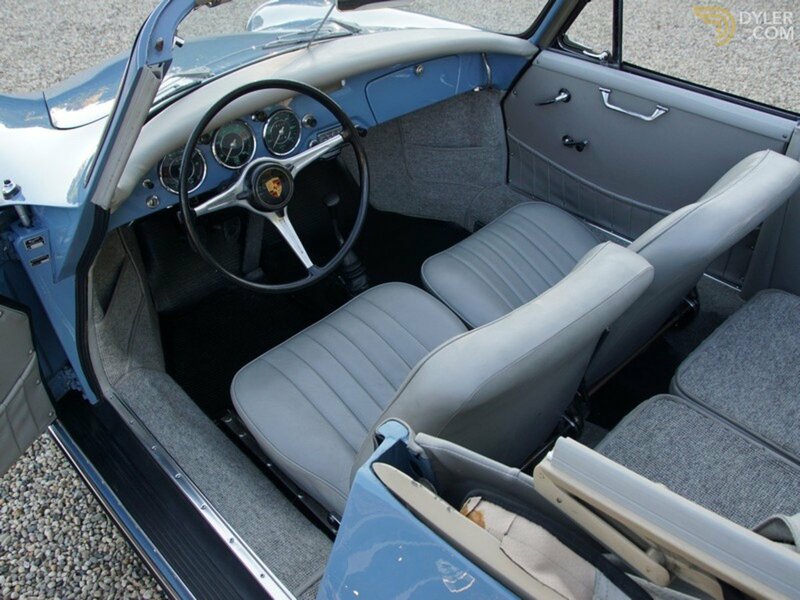 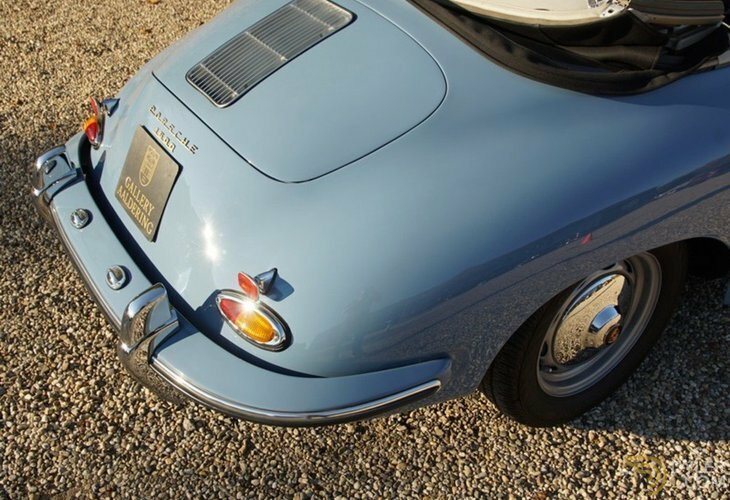 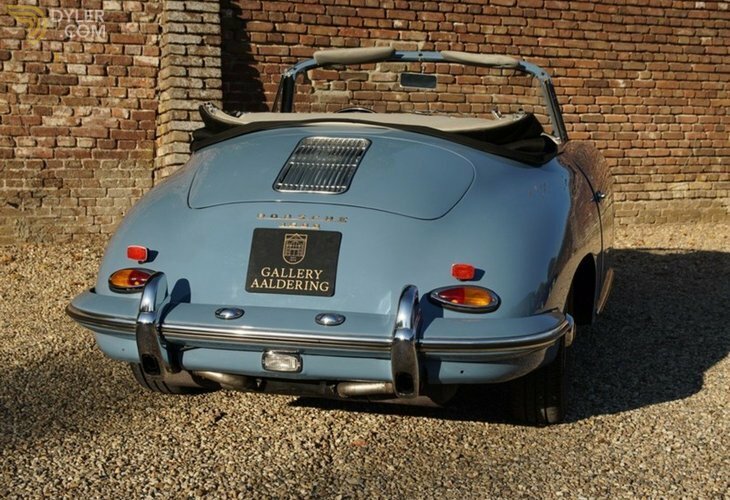 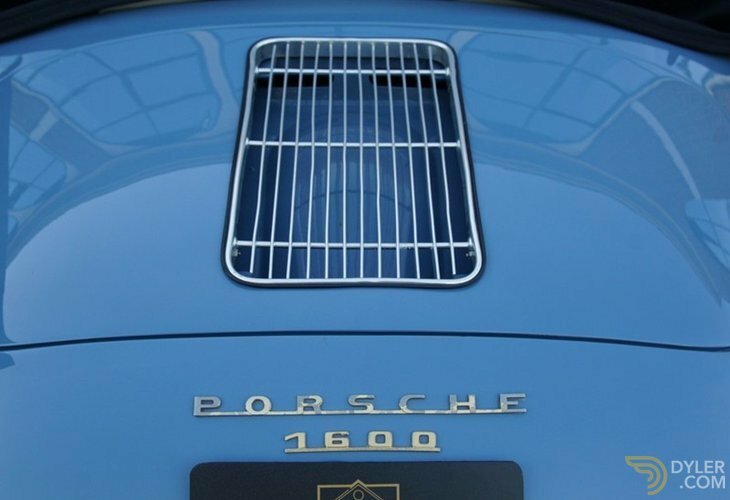 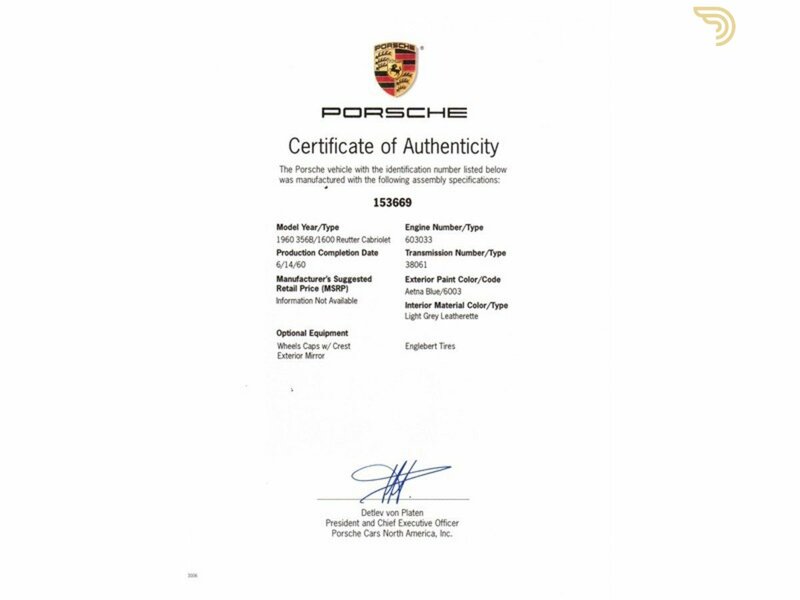 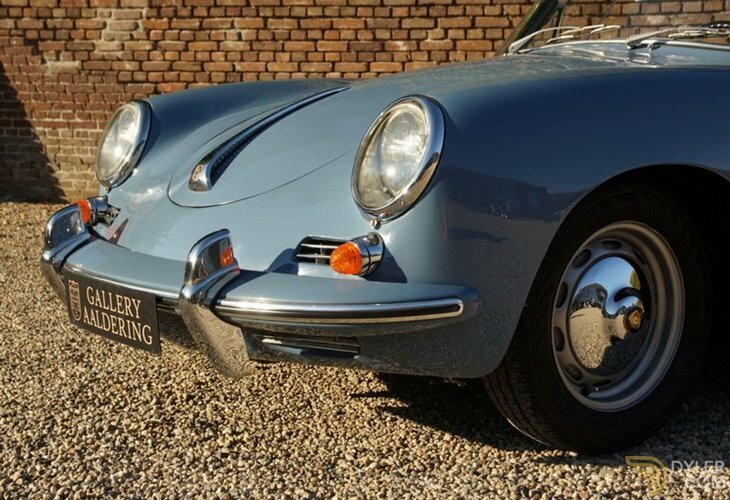 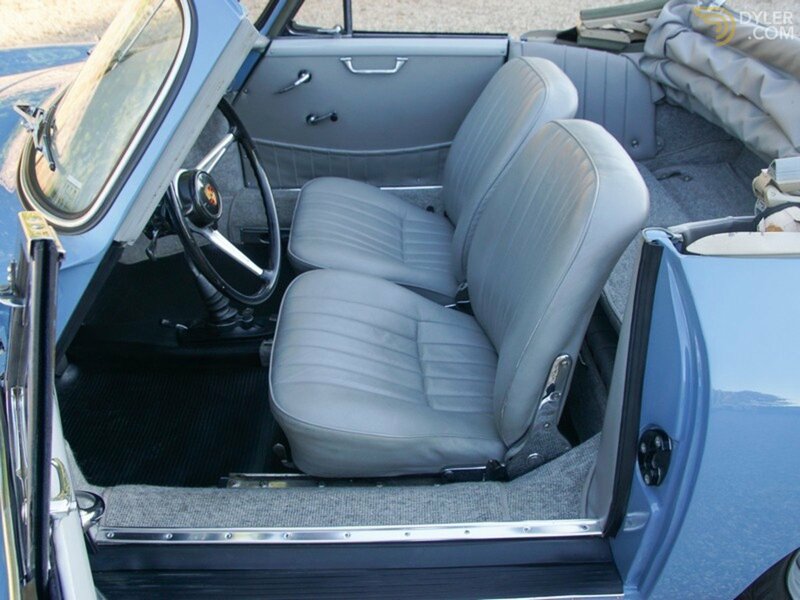 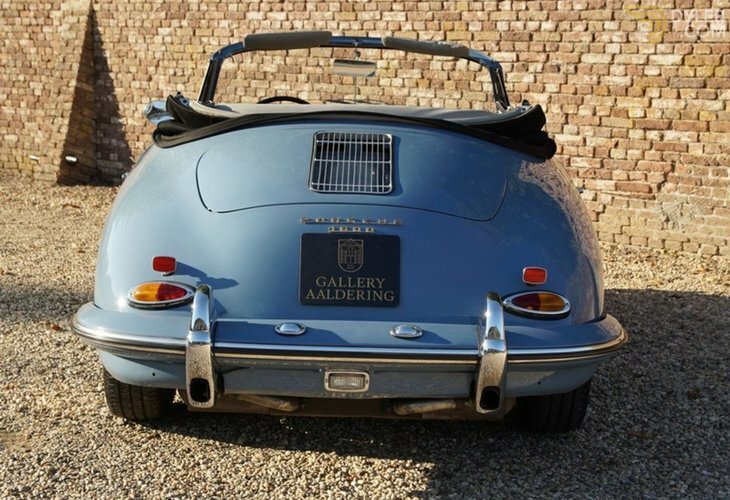 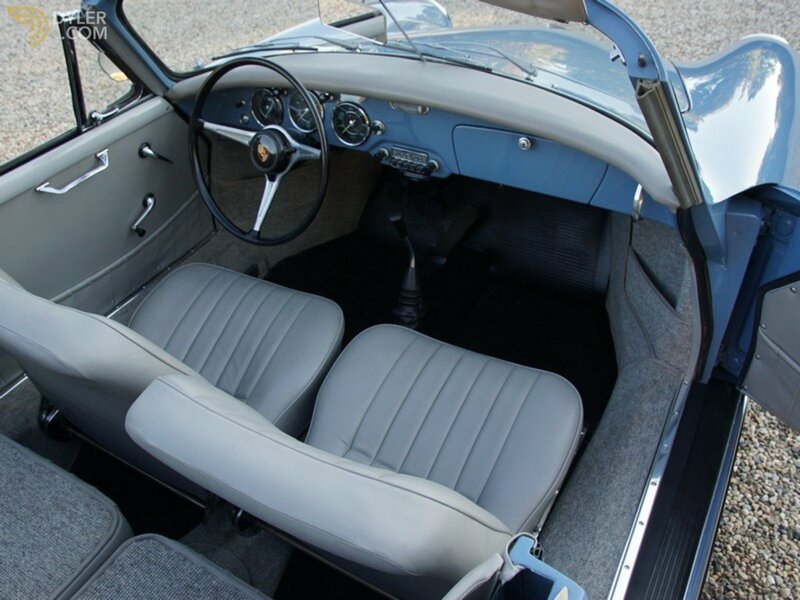 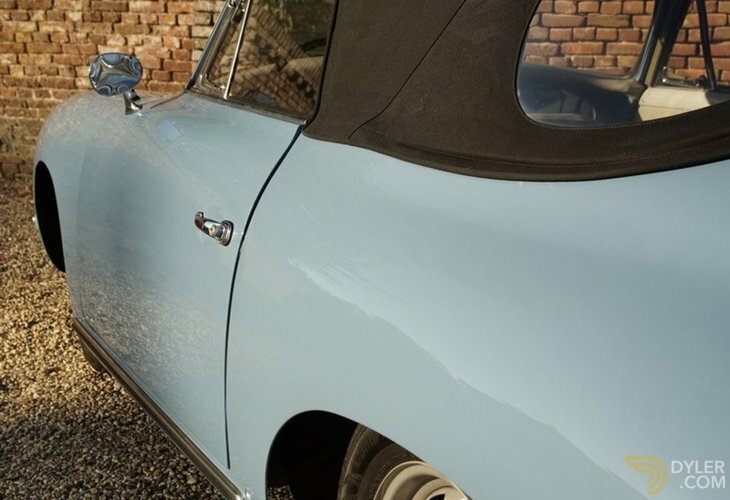 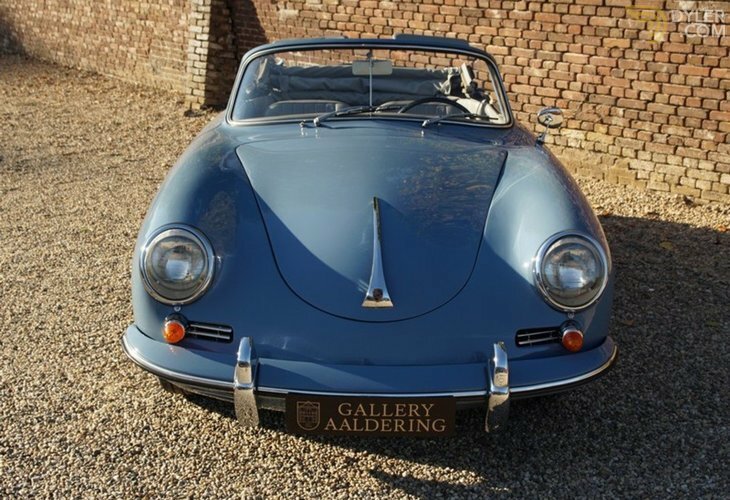 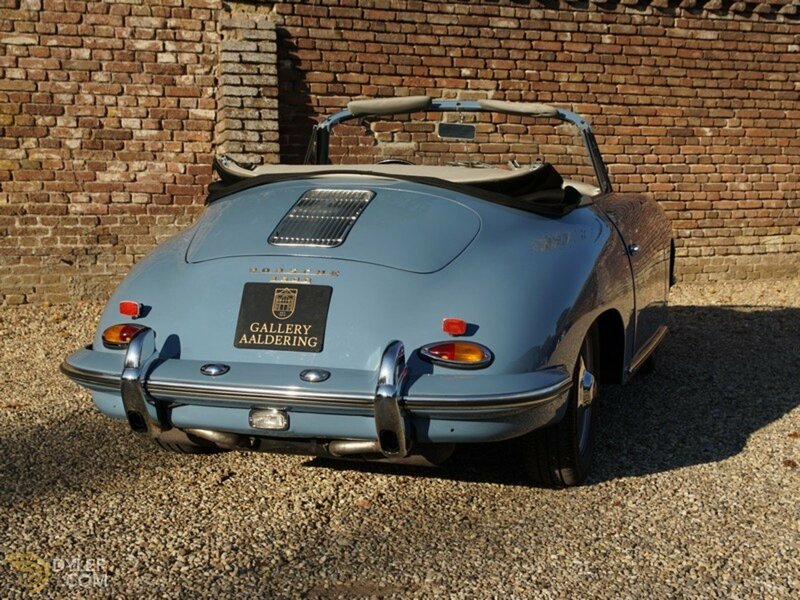 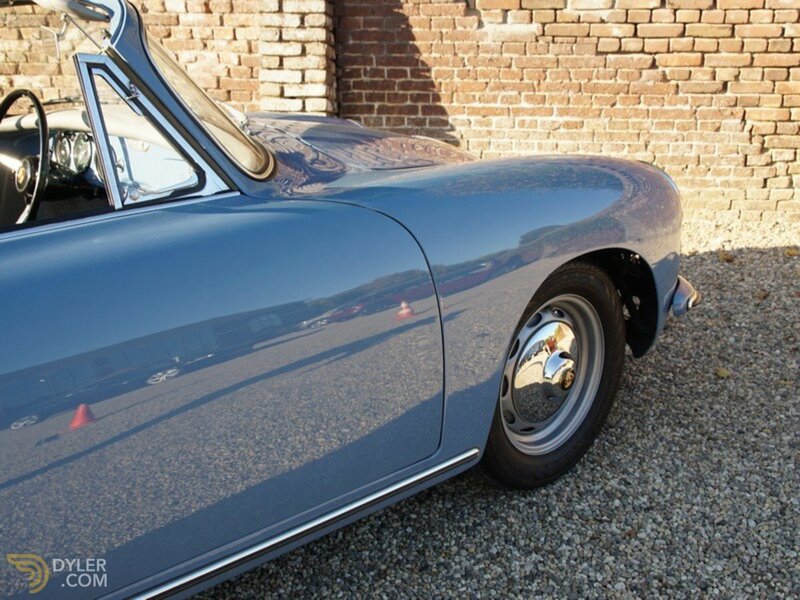 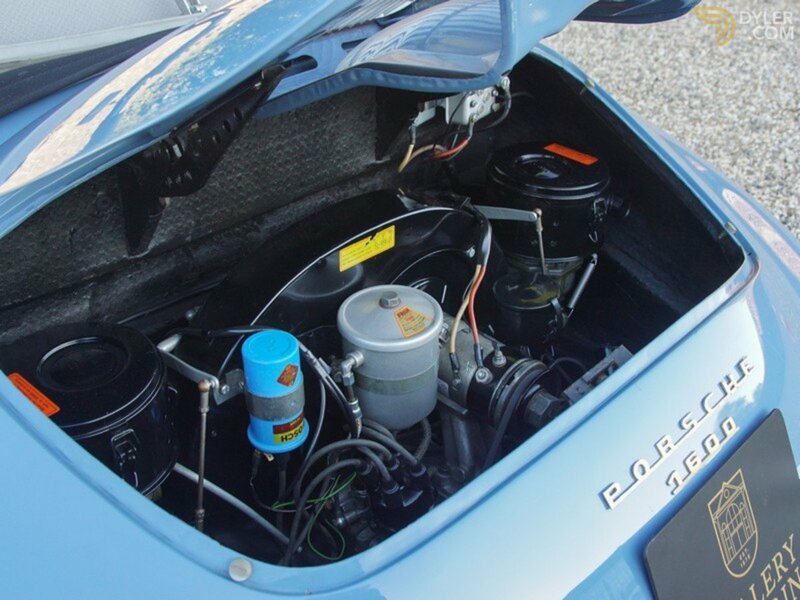 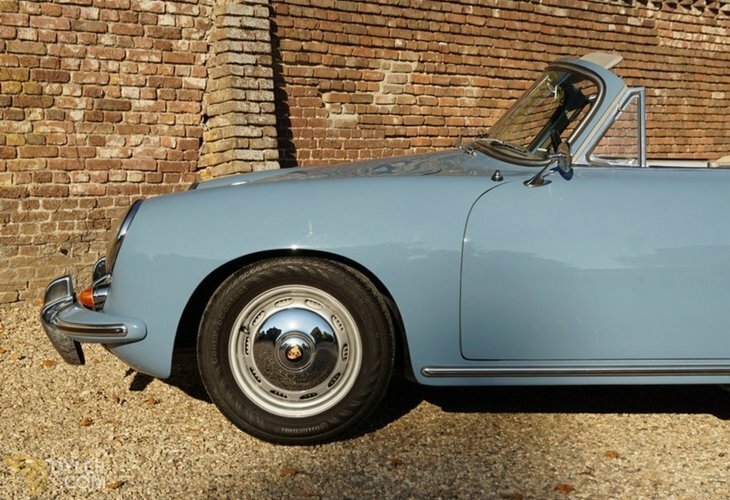 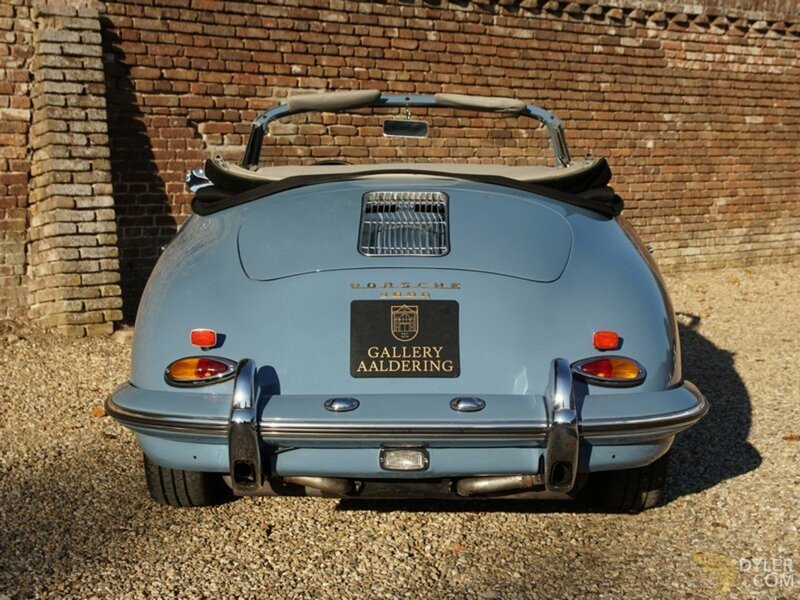 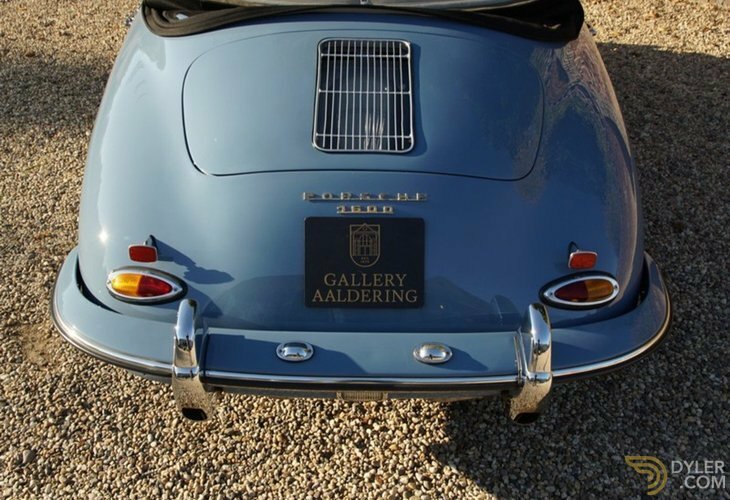 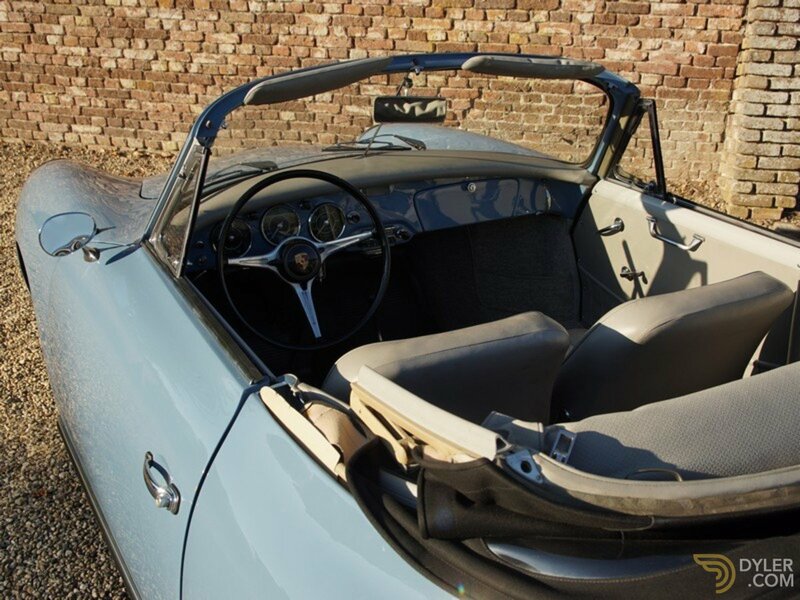 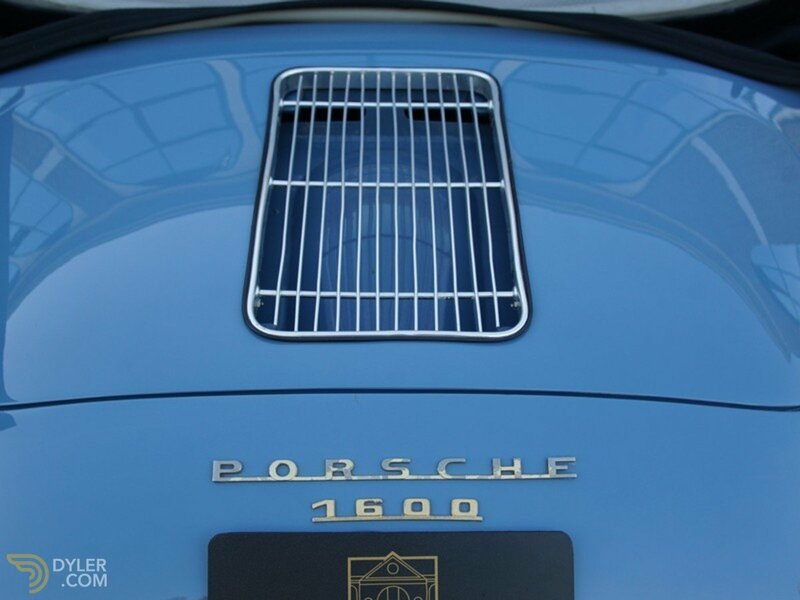 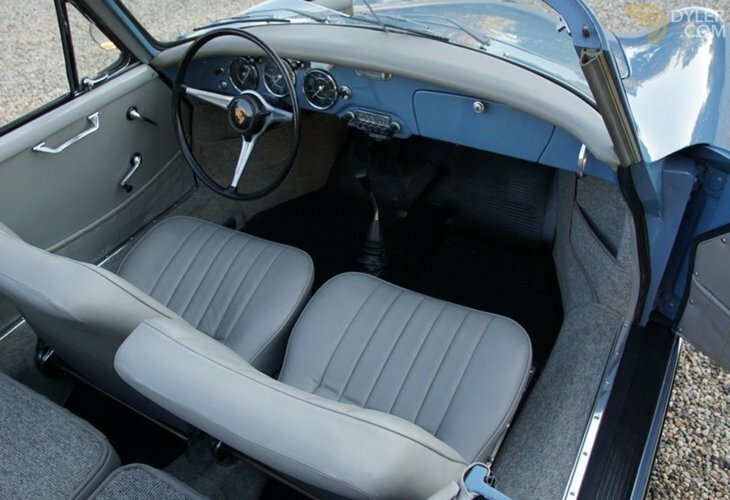 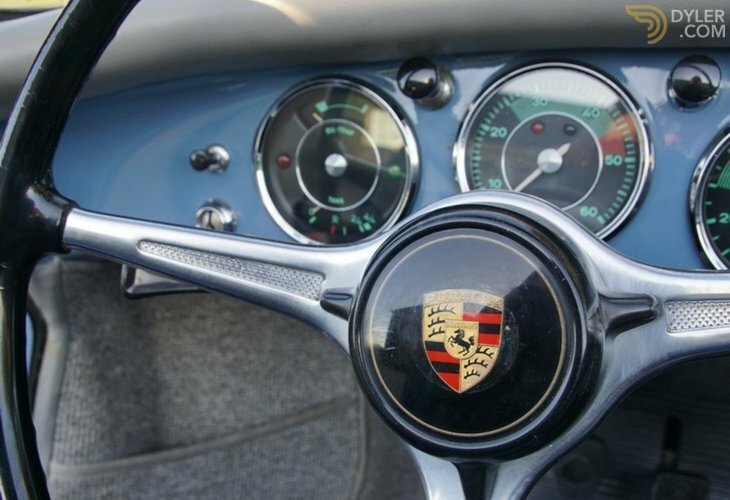 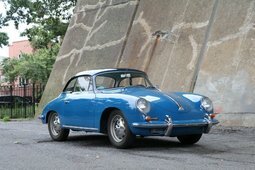 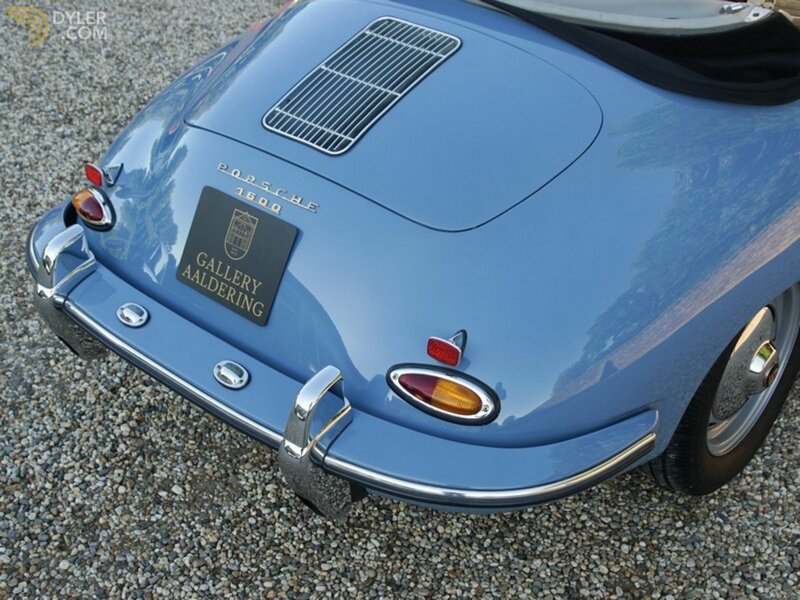 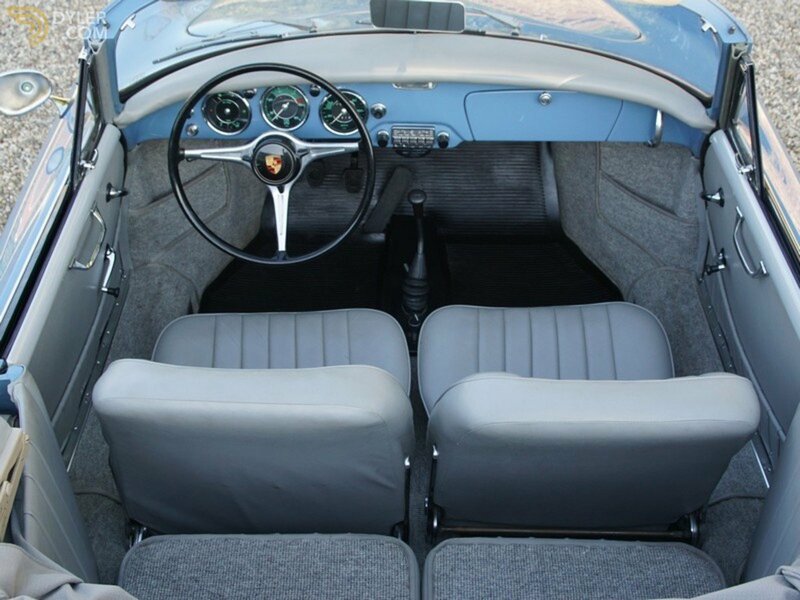 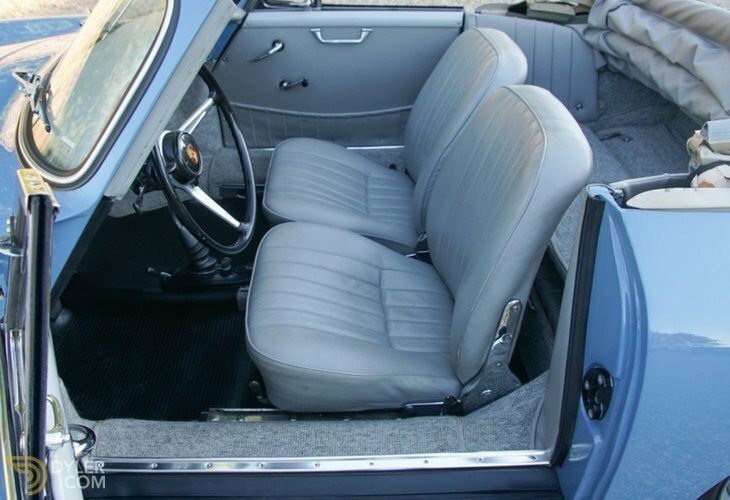 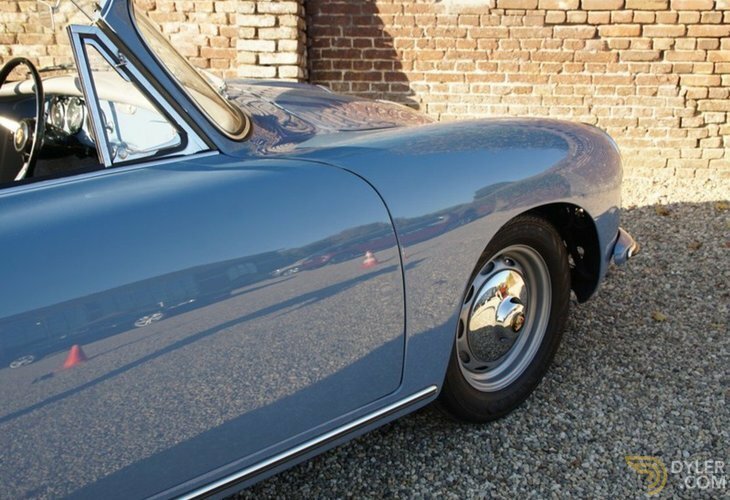 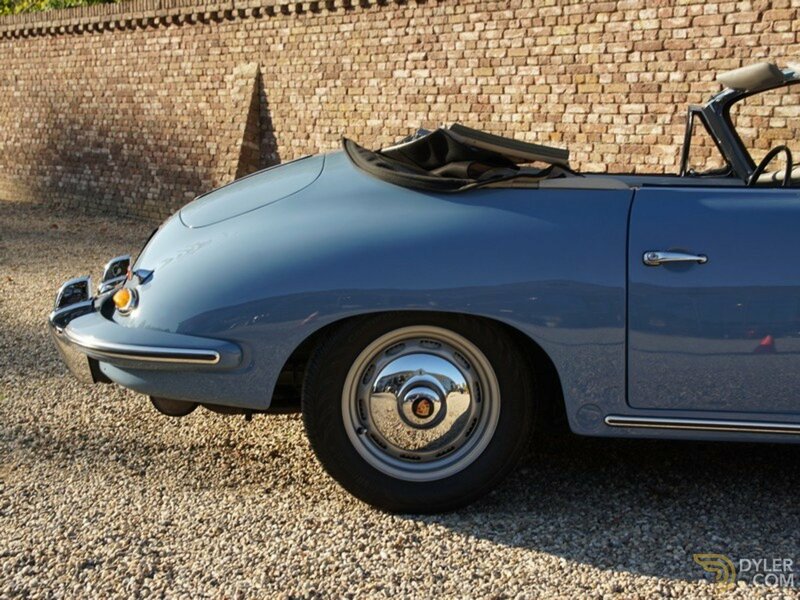 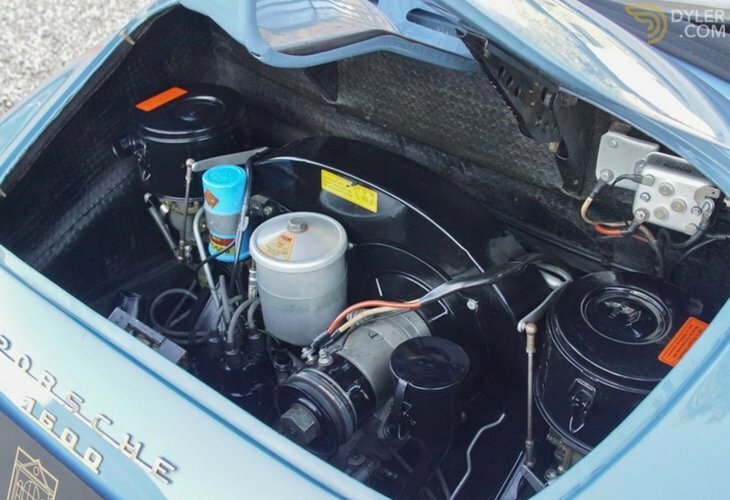 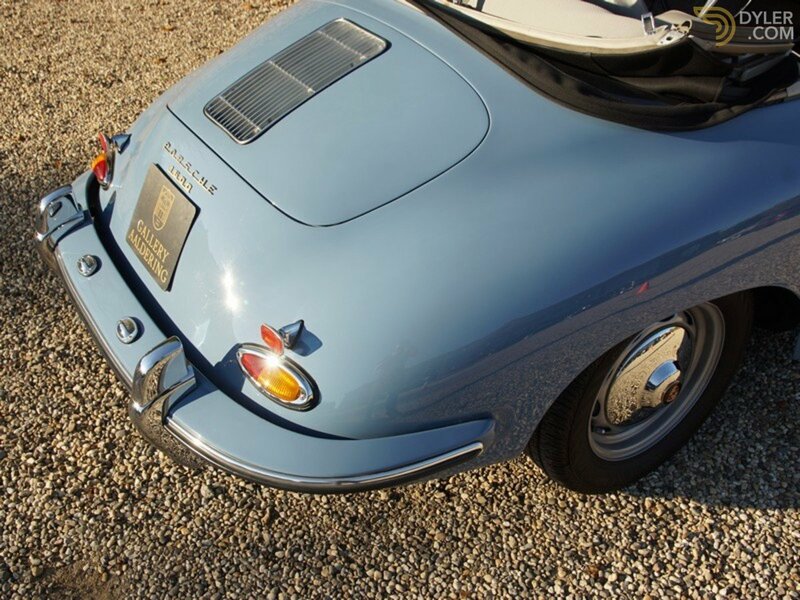 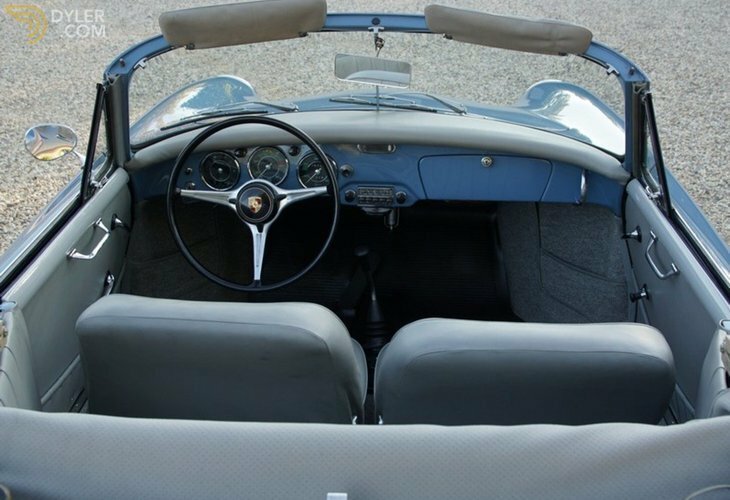 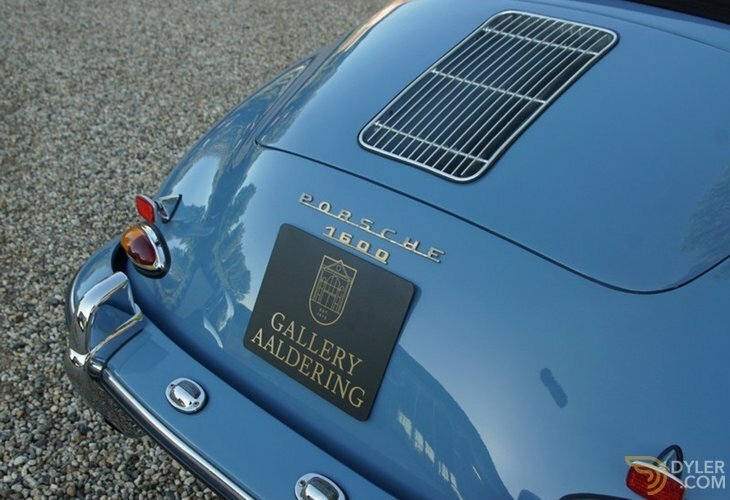 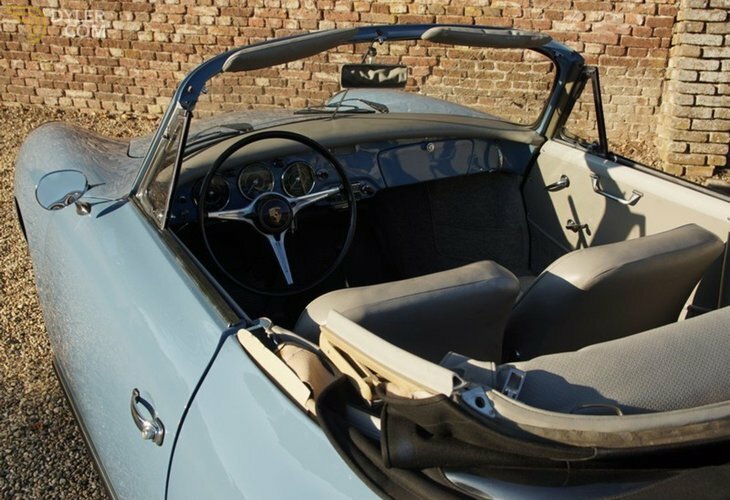 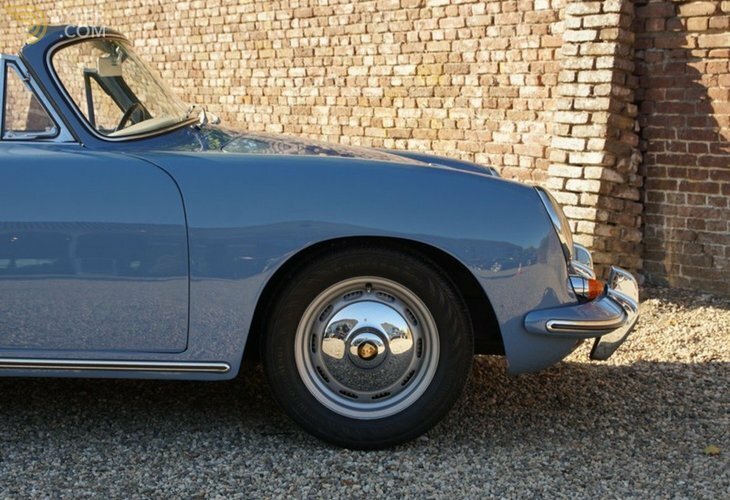 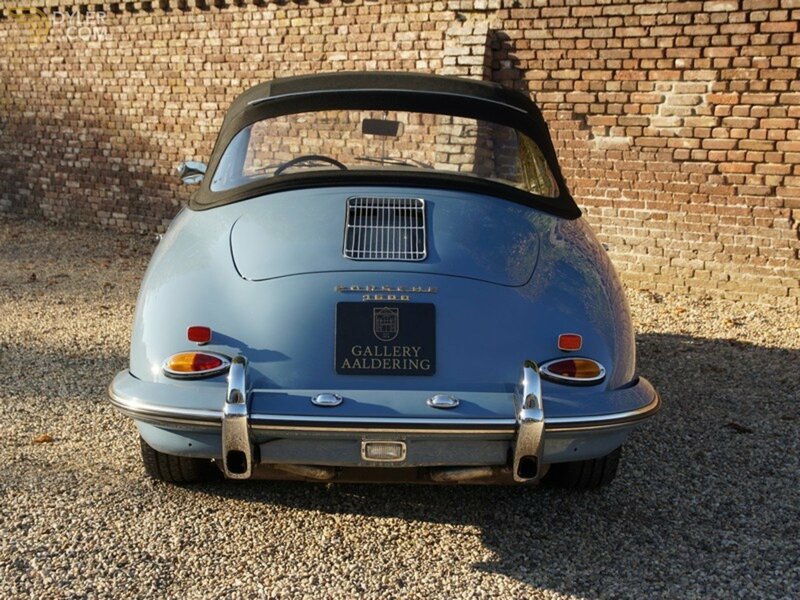 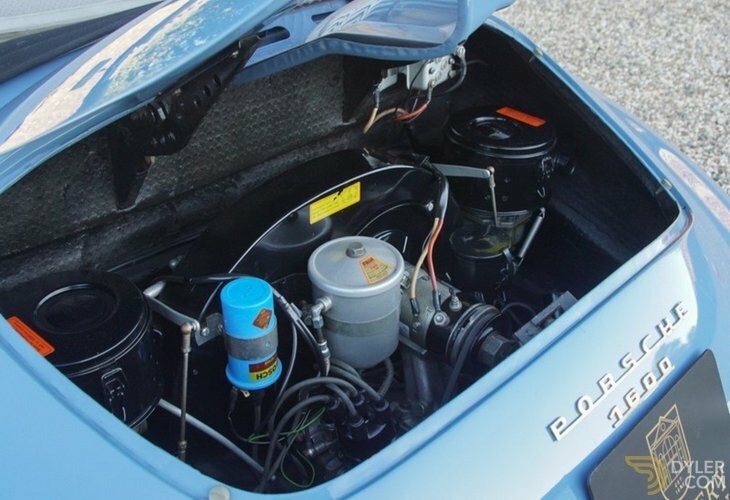 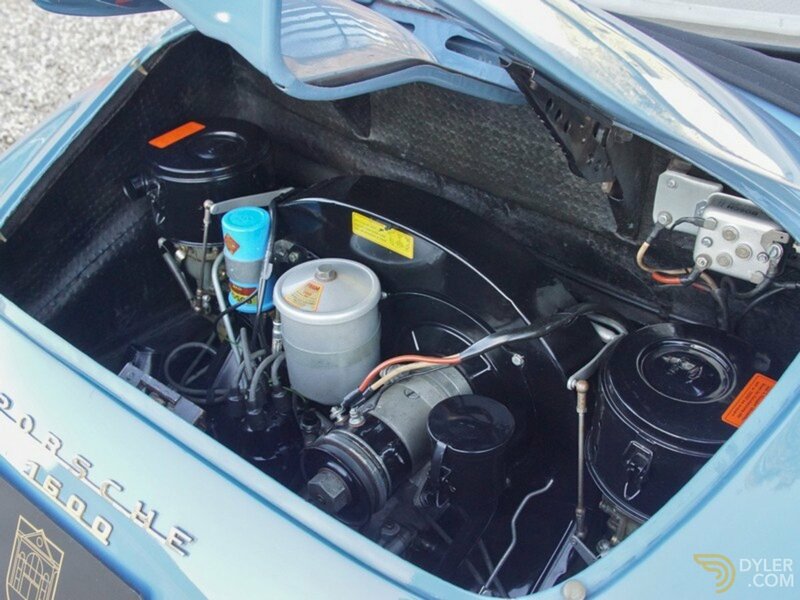 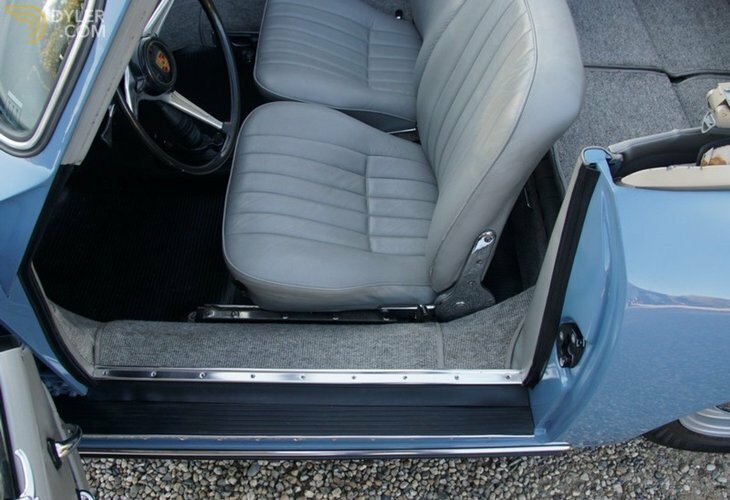 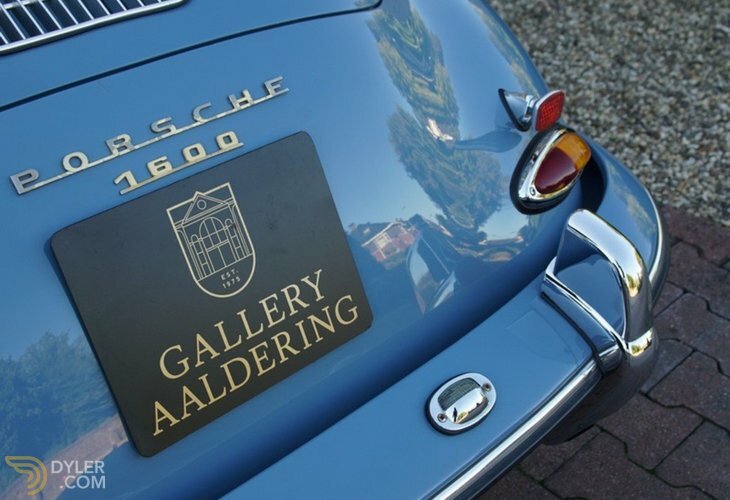 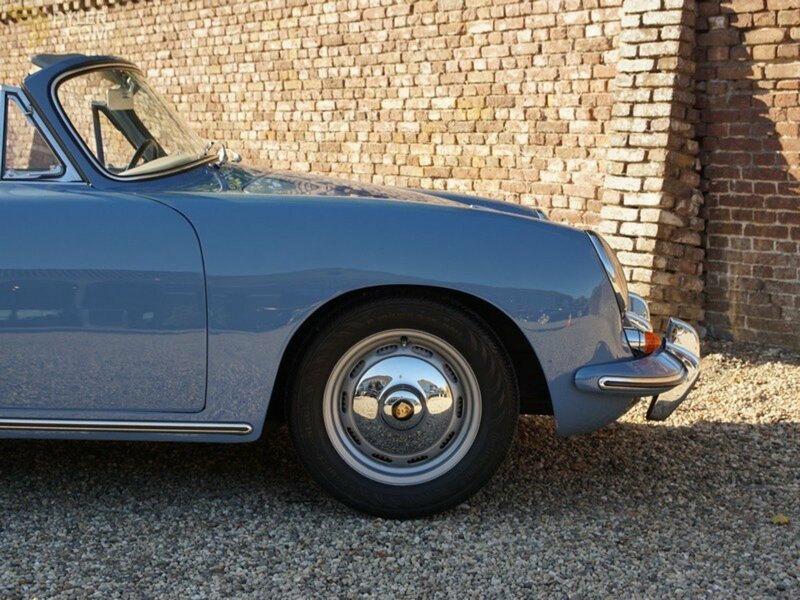 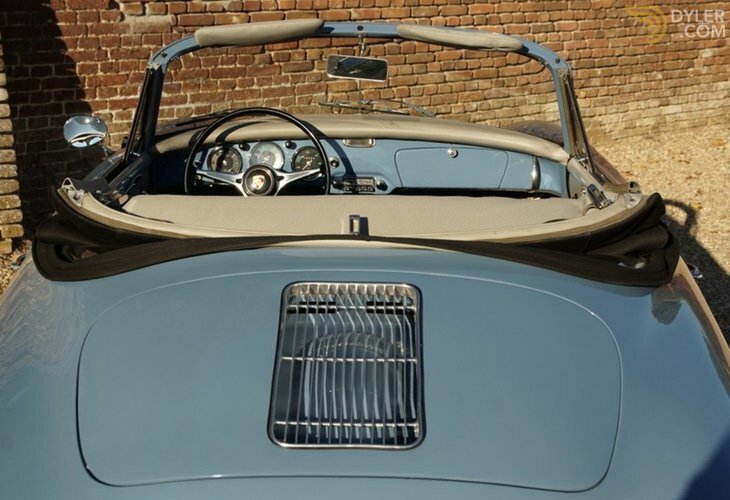 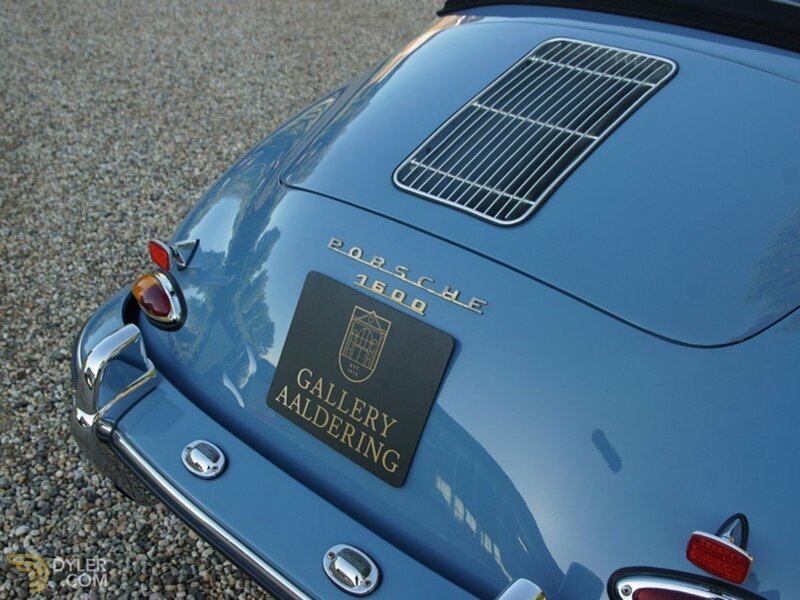 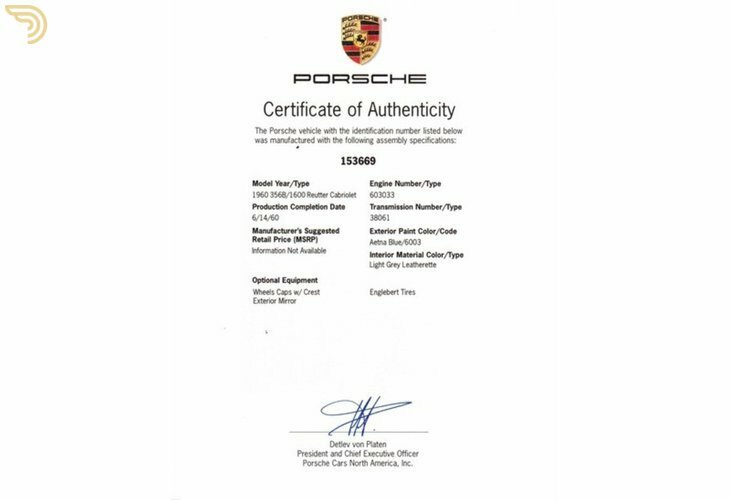 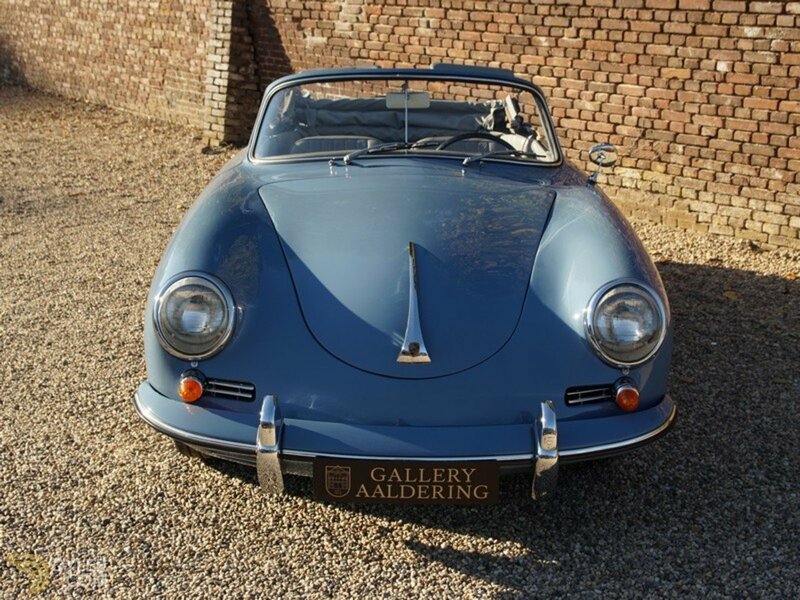 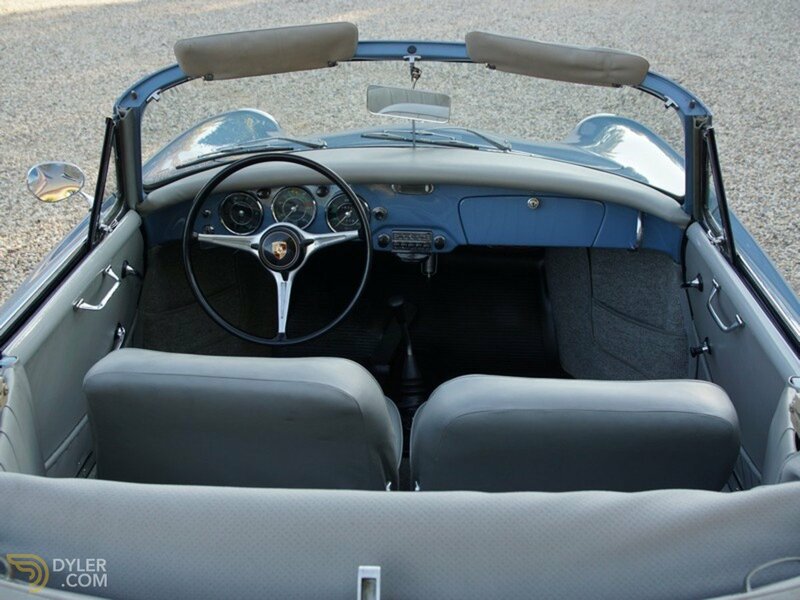 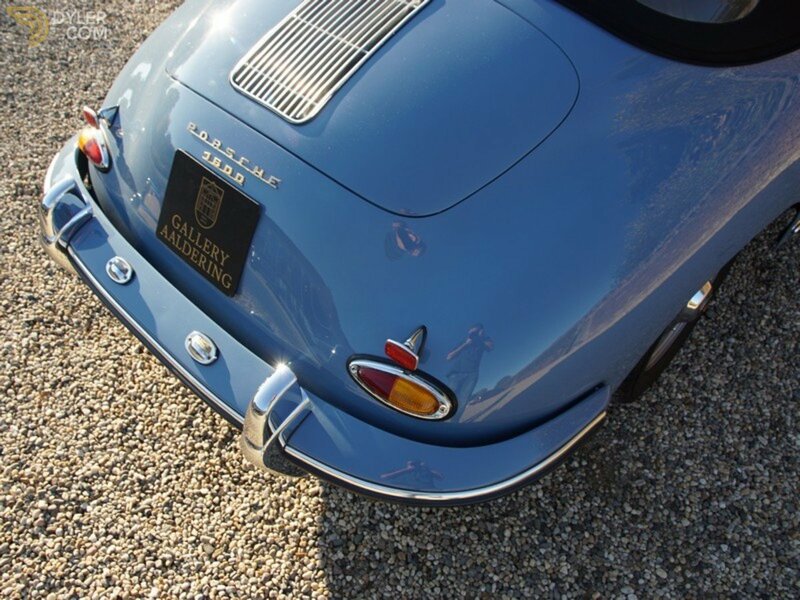 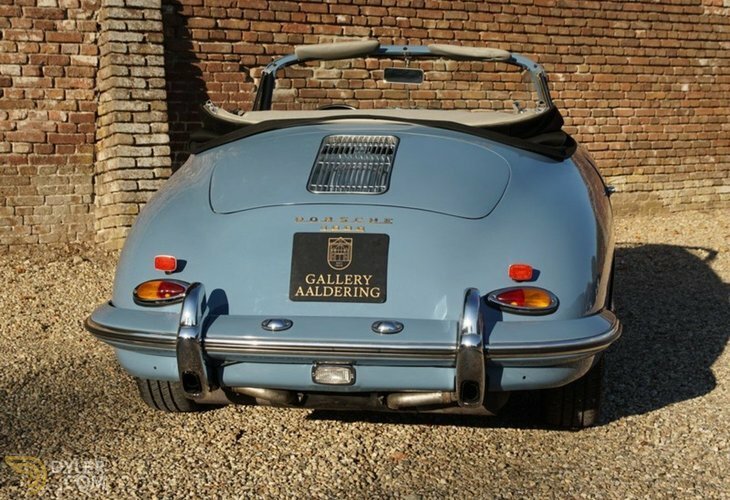 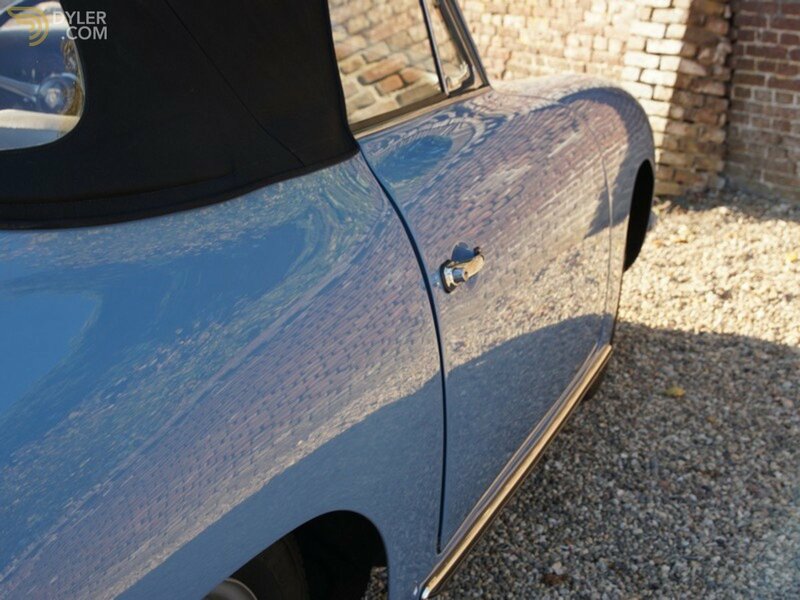 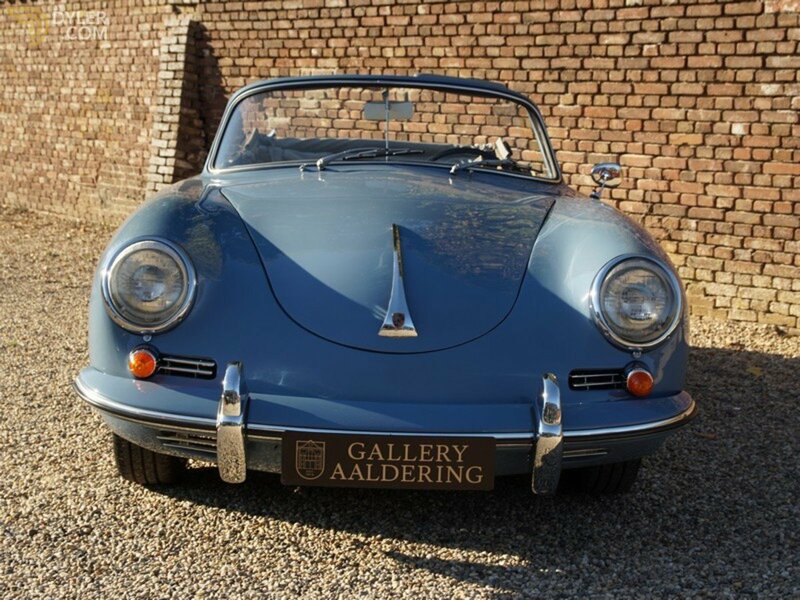 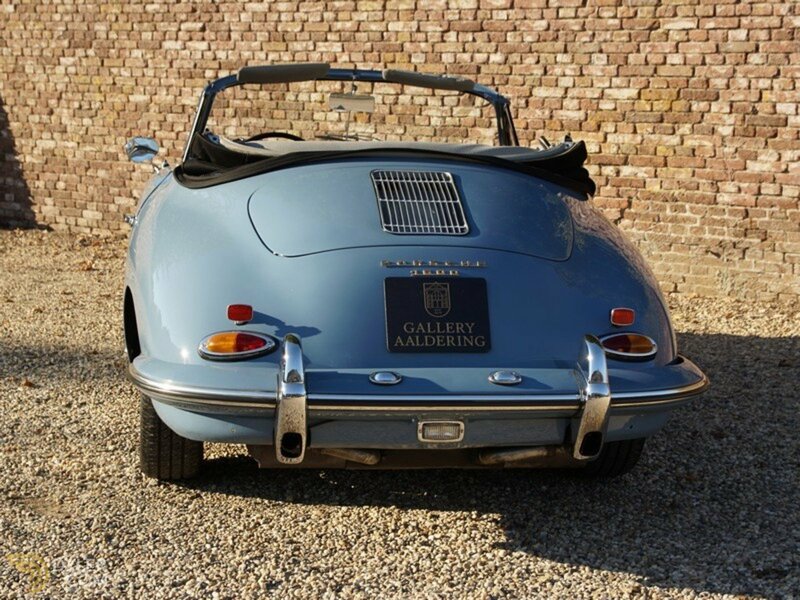 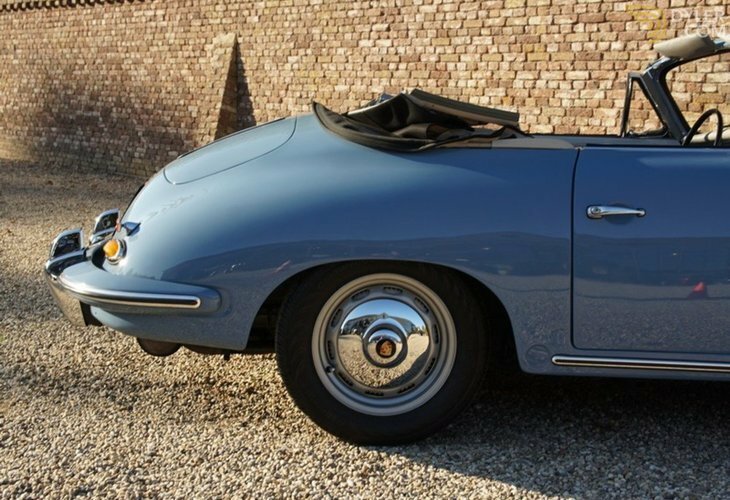 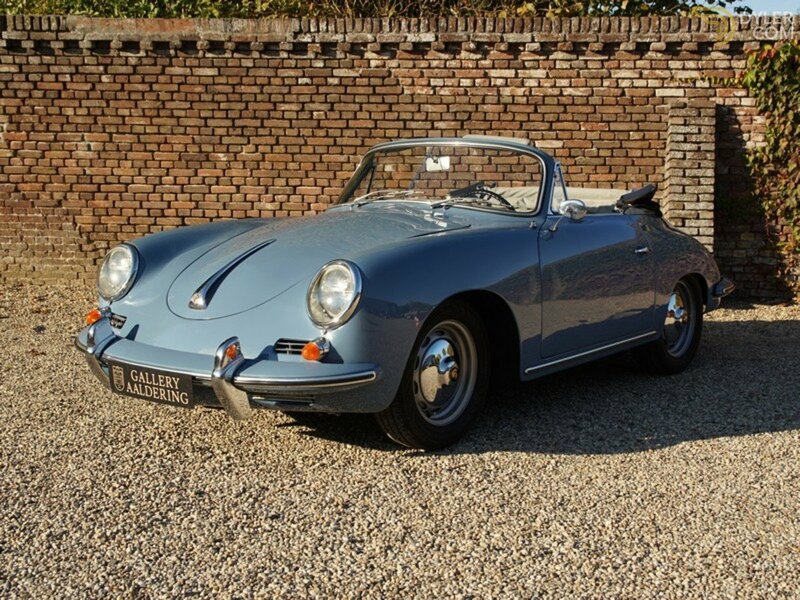 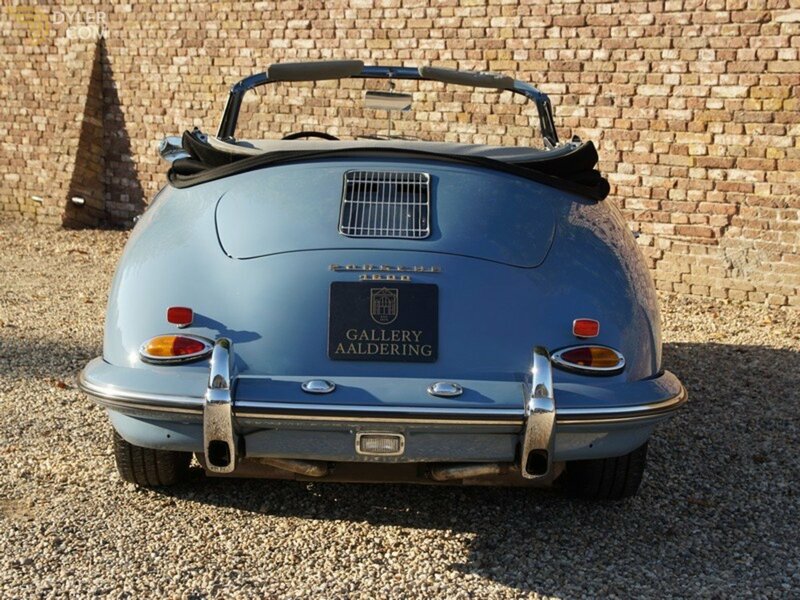 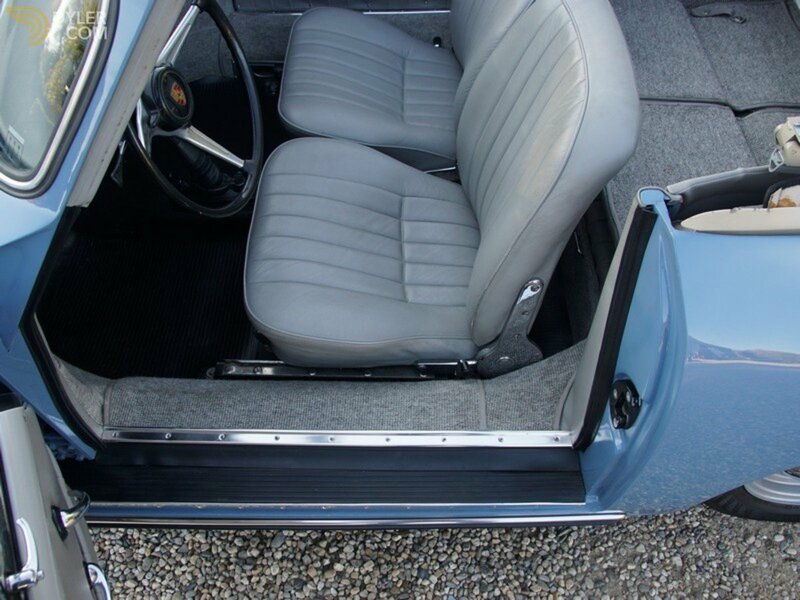 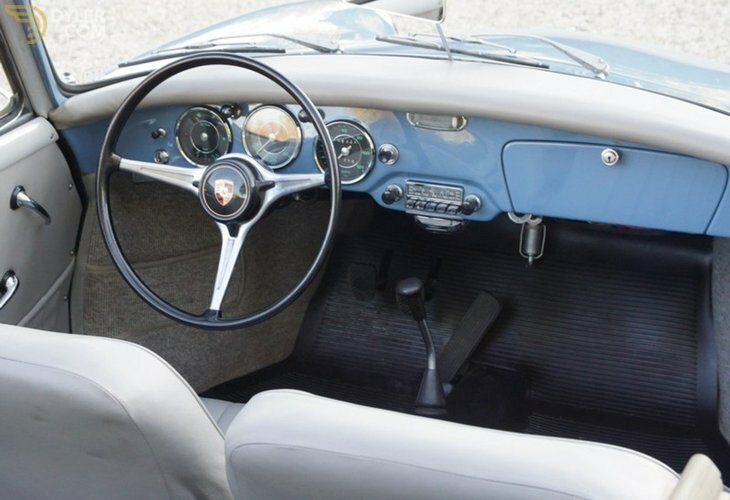 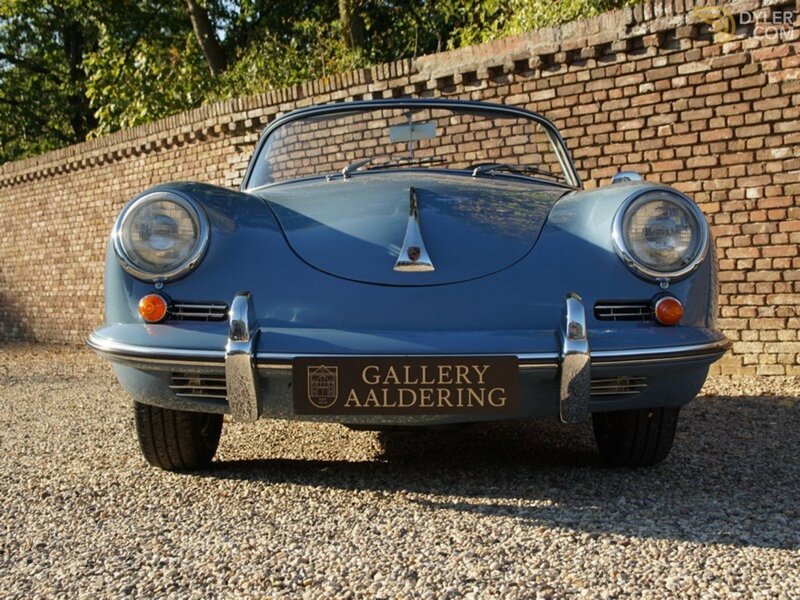 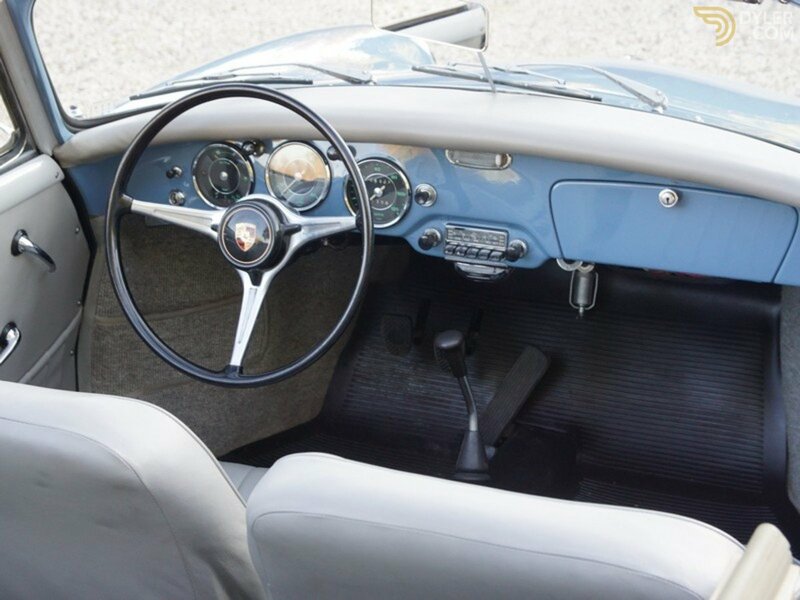 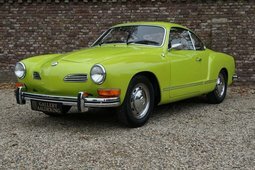 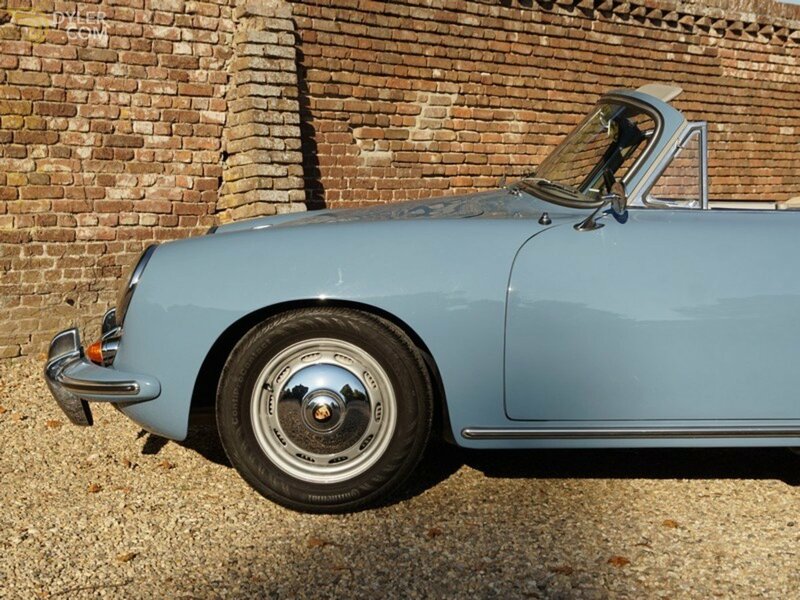 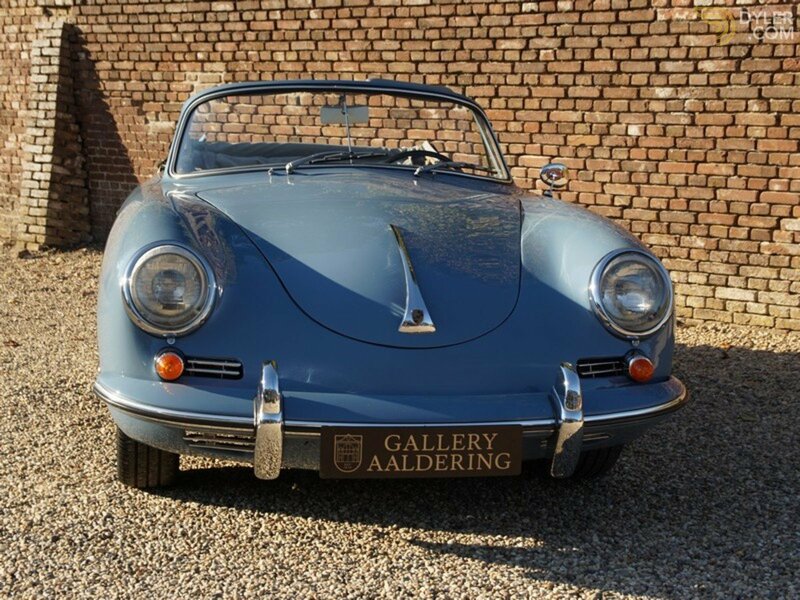 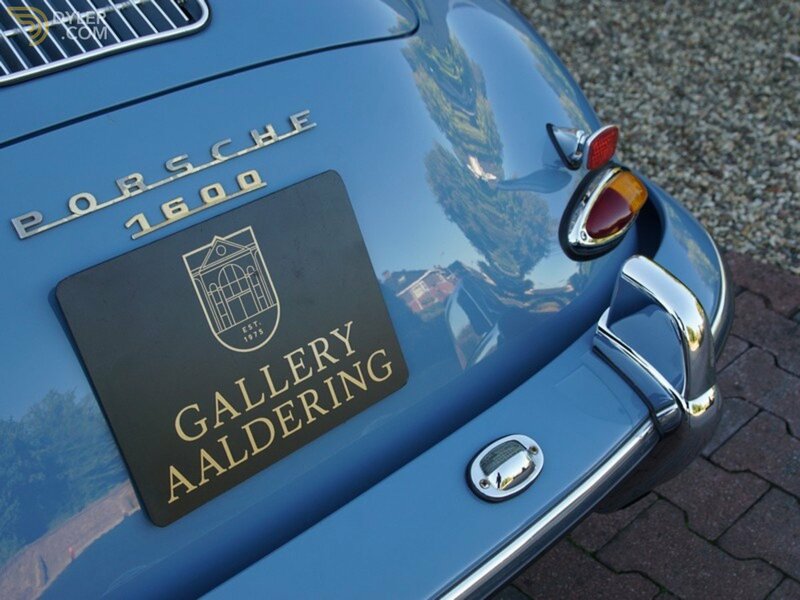 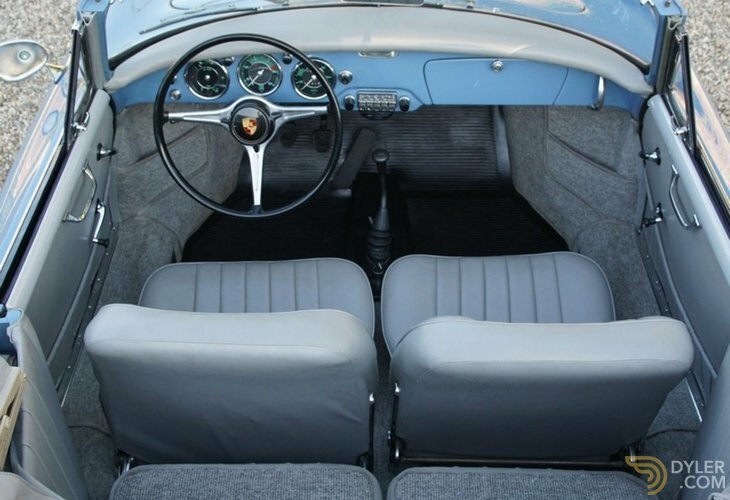 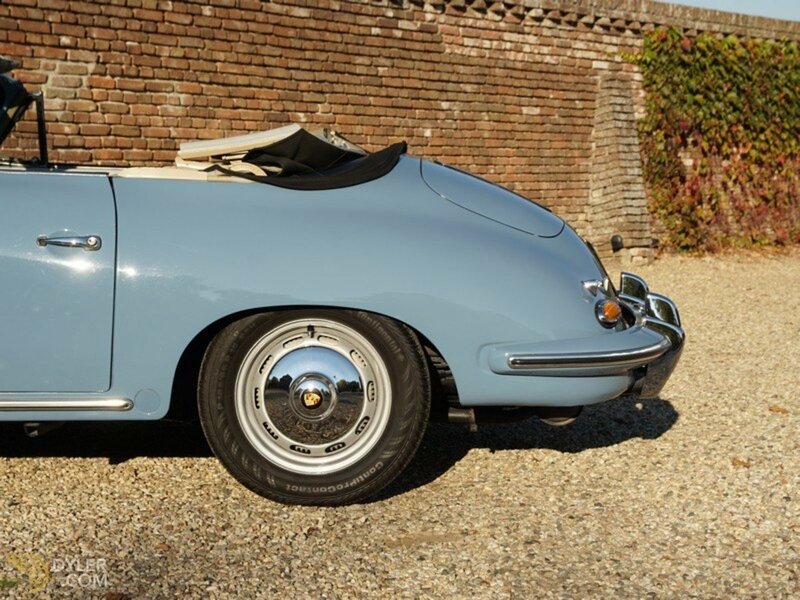 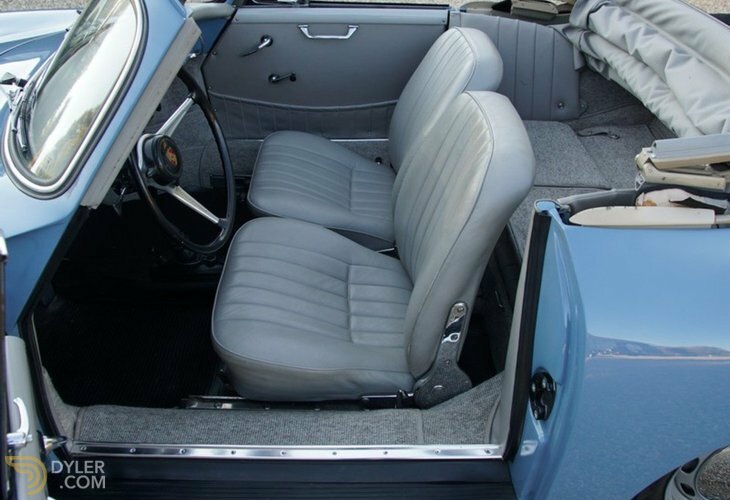 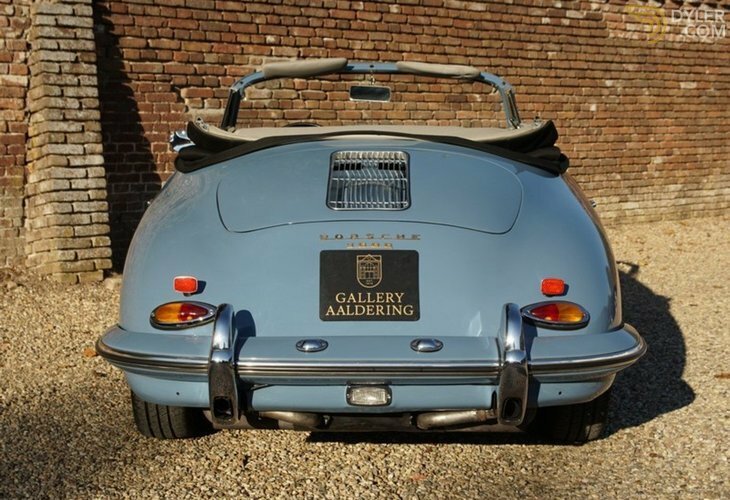 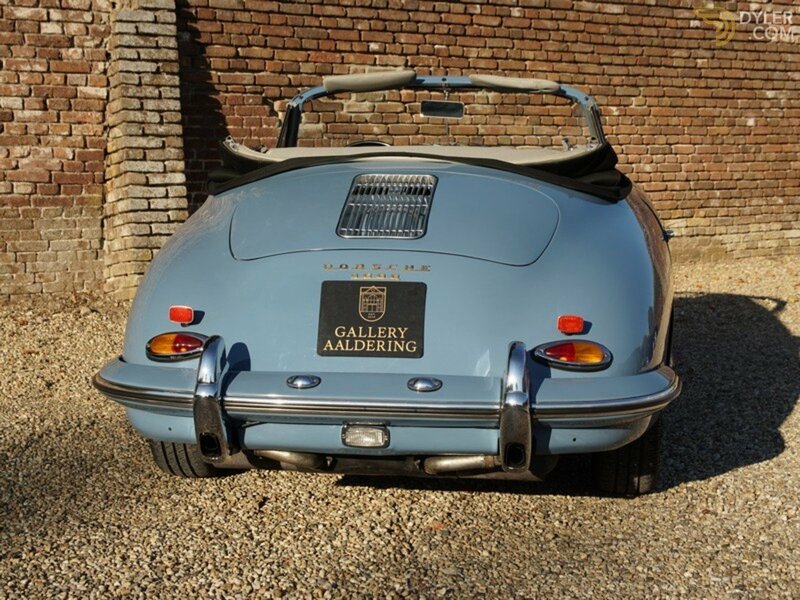 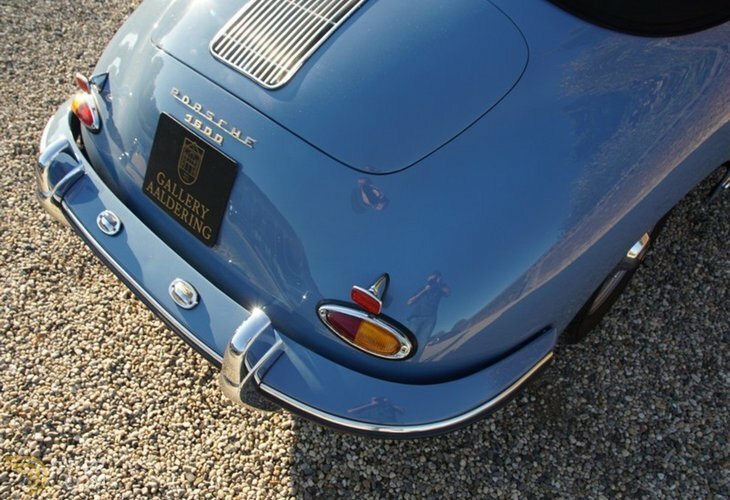 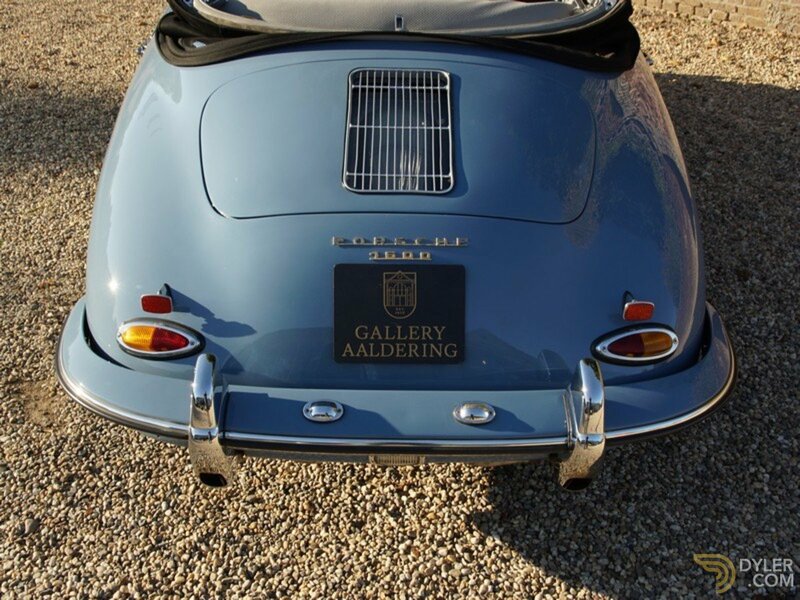 This 356 has its original matching numbers 616/1 engine, that has been certified by Porsche.